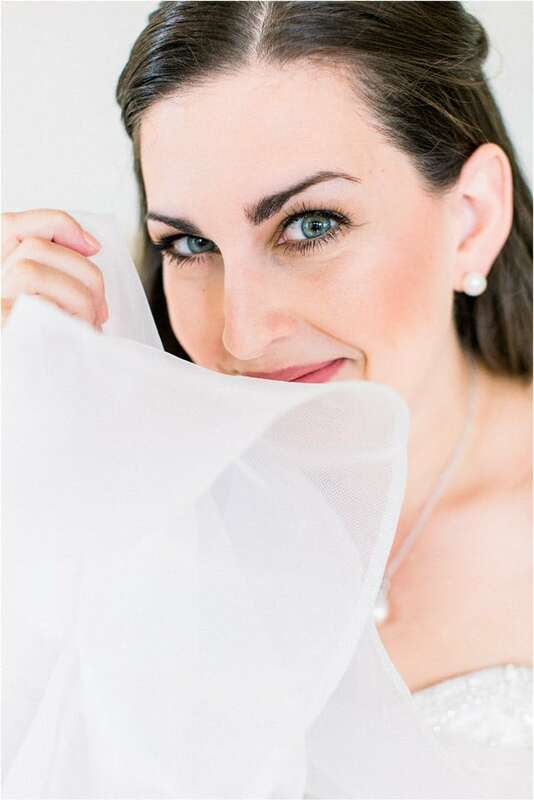 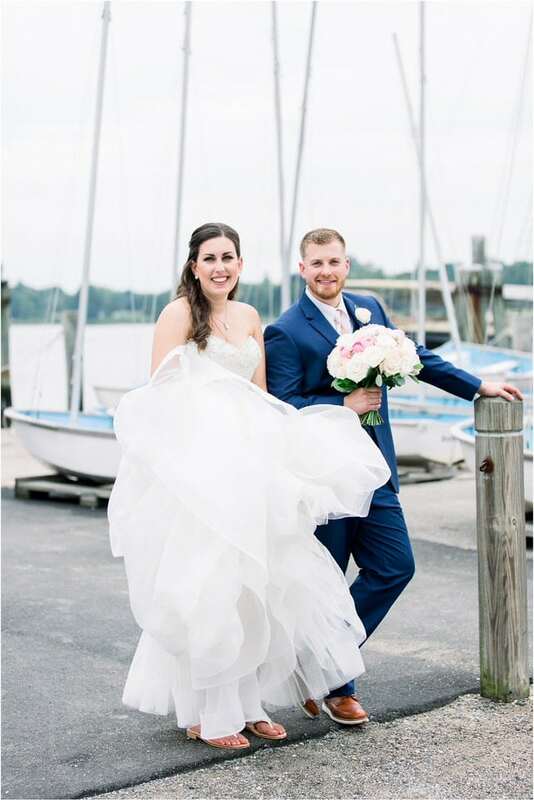 Stephanie and Kyle were married on August 11th with a ceremony and a reception at Latitude 41. 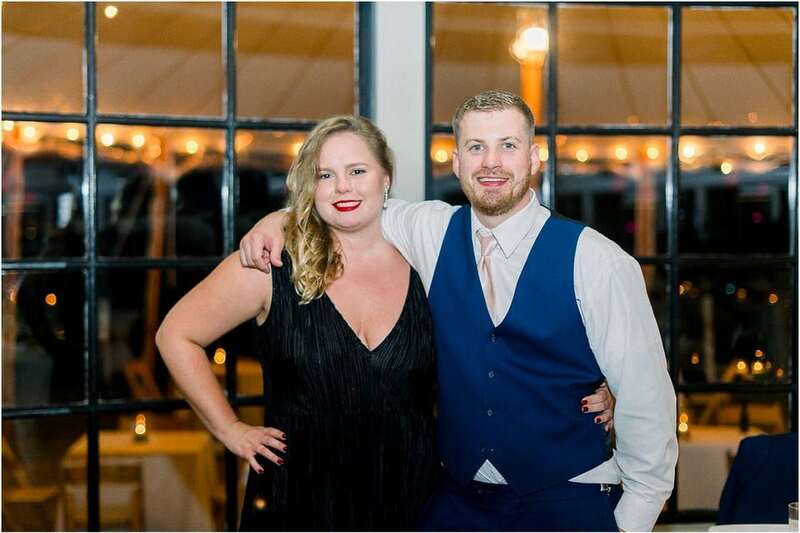 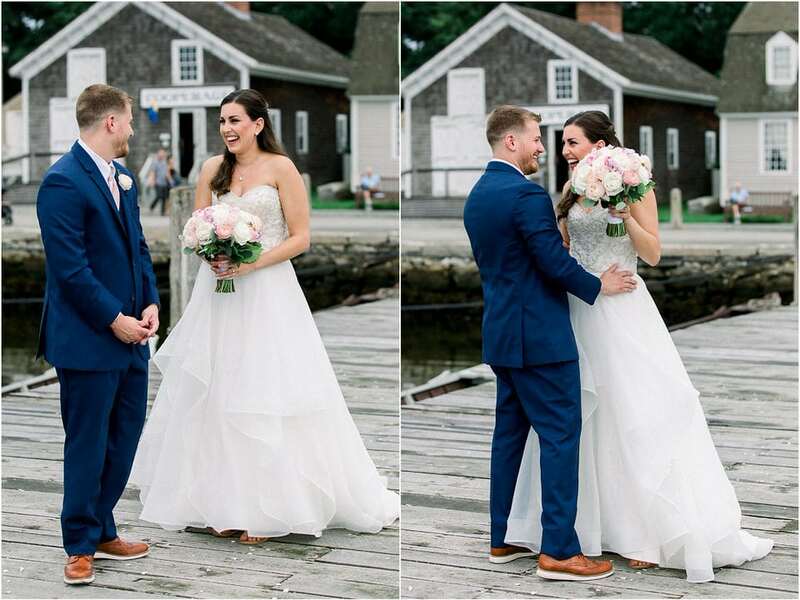 Stephanie and Kyle have a classic New England love story and I was thrilled that they asked me to capture part of it. 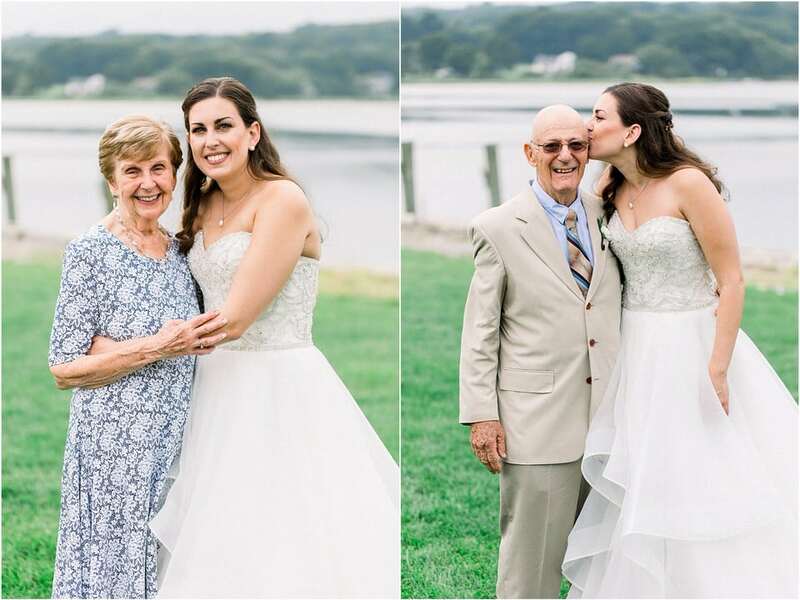 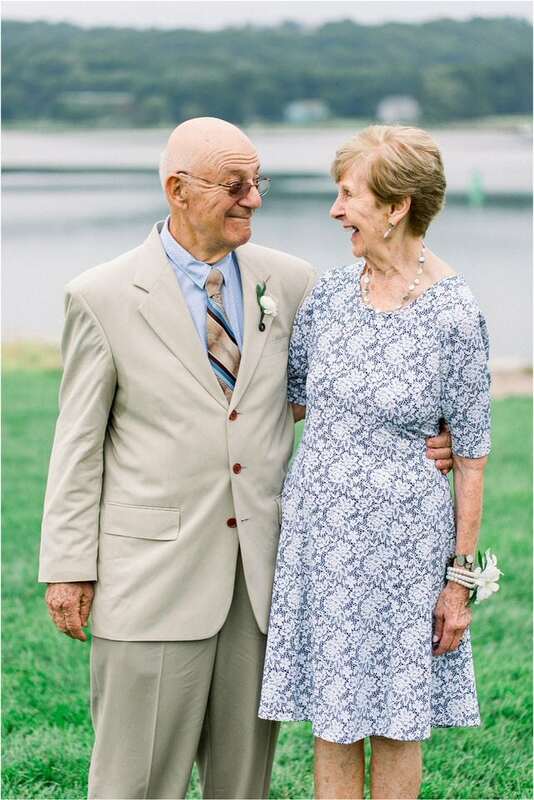 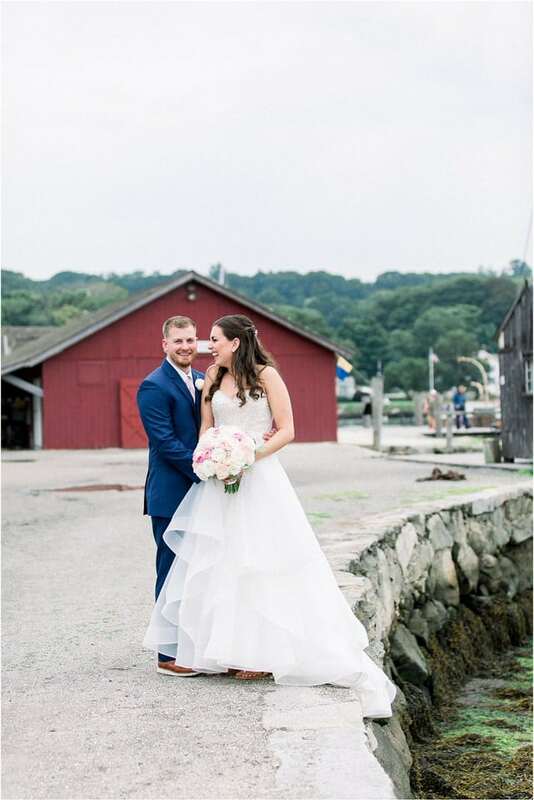 They met at Abbott’s Lobster in the Rough, a waterfront restaurant founded in 1947 and known for their classic lobster rolls. 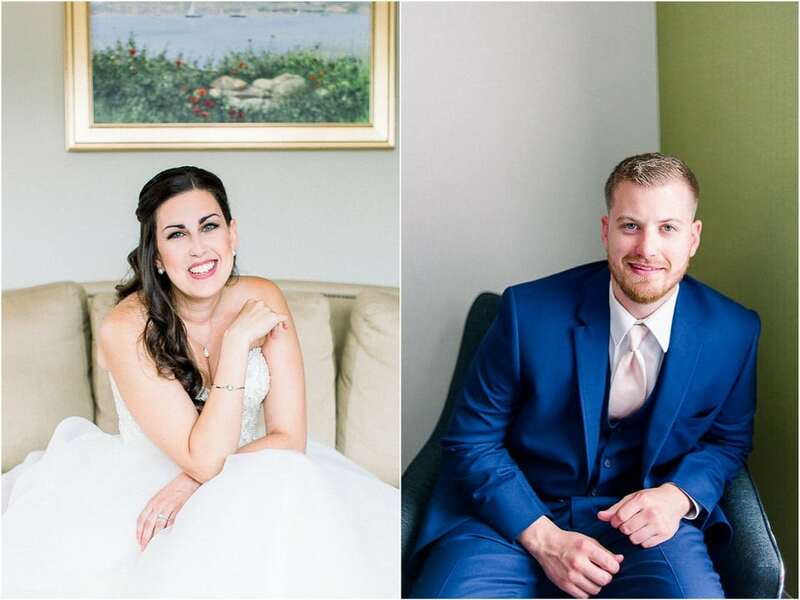 They both worked there for 5+ years but didn’t really get to know each other until after Stephanie’s first year of college. 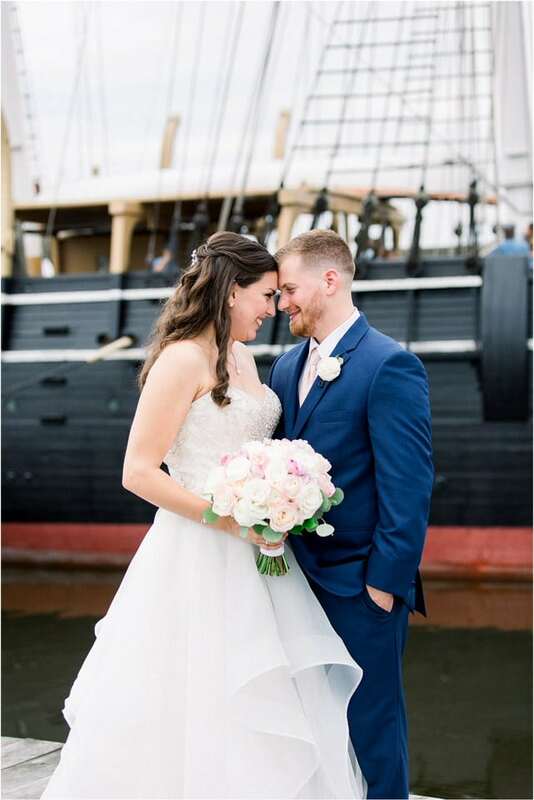 The couple started going on dates, many of them being in downtown Mystic where they would later get engaged. 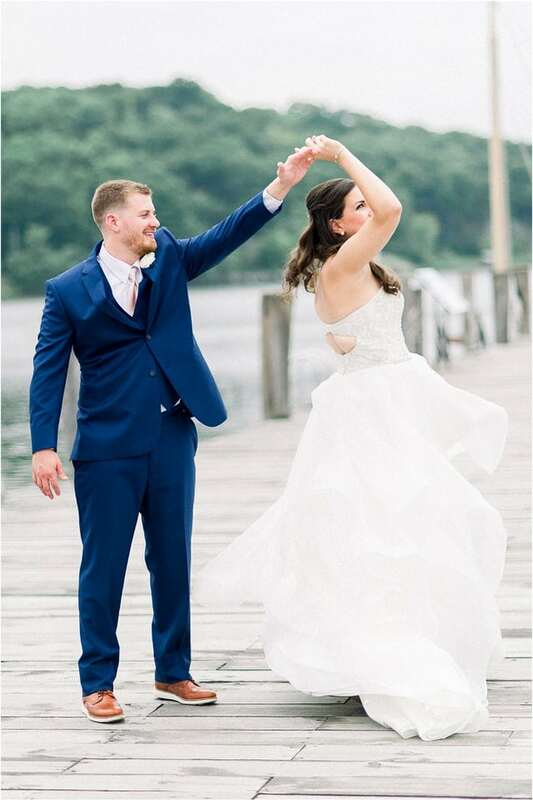 Stephanie loves that Kyle knows how to help her relax and really brings the perfect balance to their relationship. 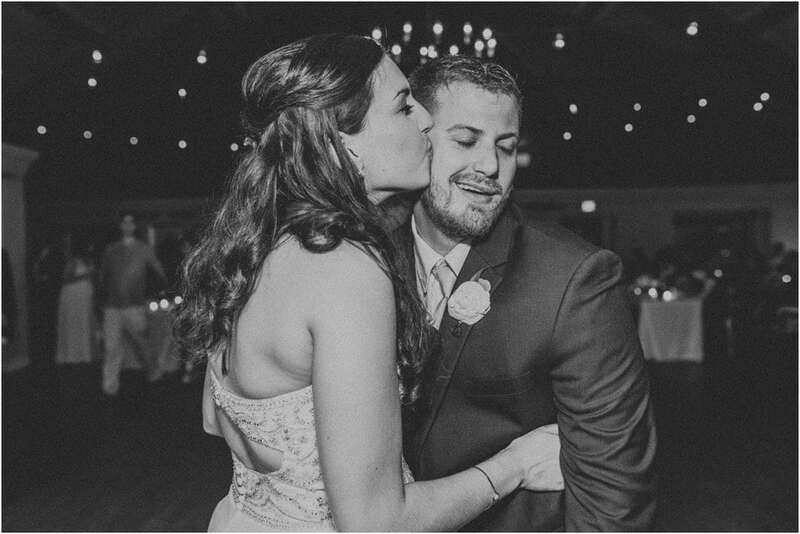 Kyle loves Stephanie for many reasons one of them being that she is always pushing him to do his best. 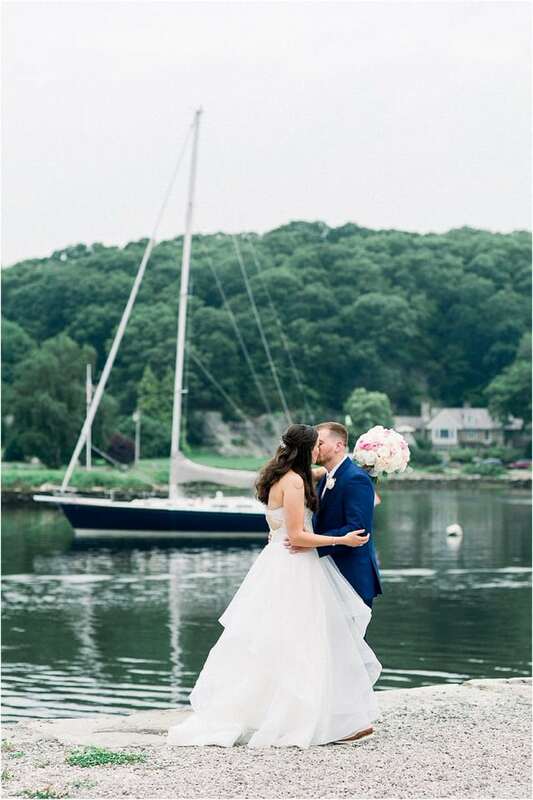 Their wedding day was a nice August day in Connecticut, with storm clouds lingering in the distance. 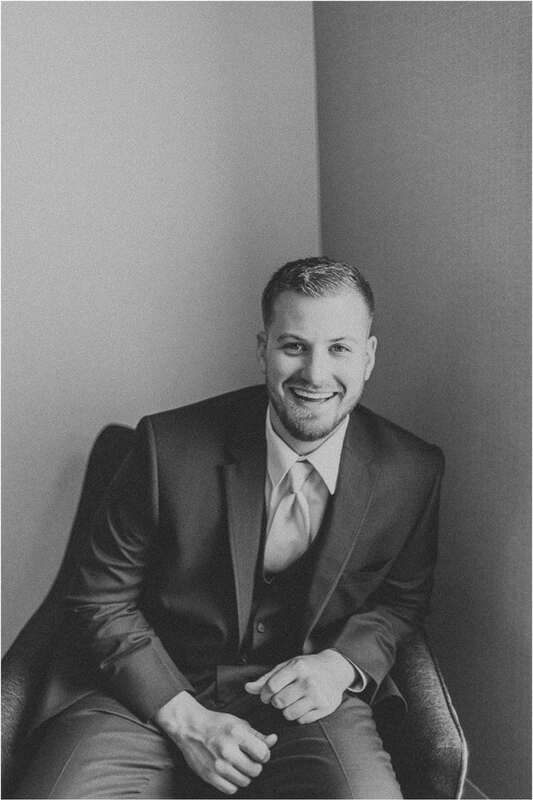 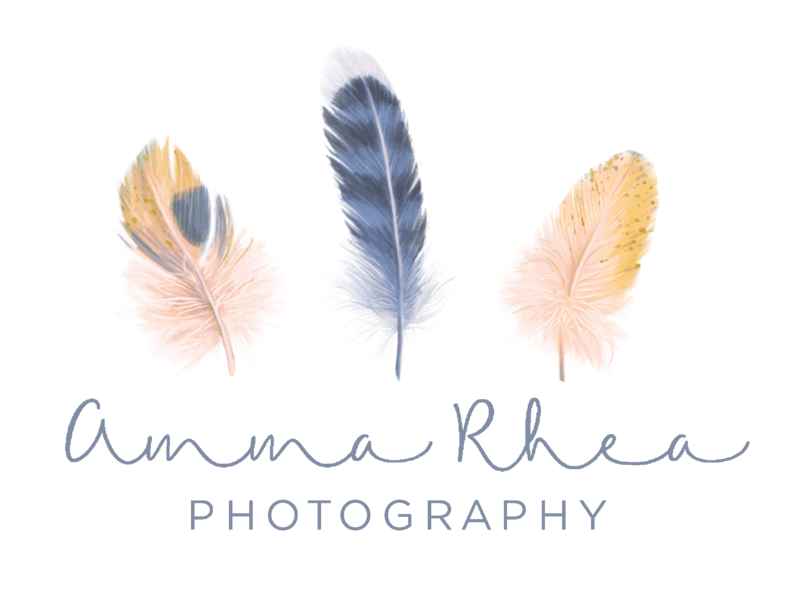 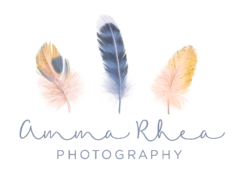 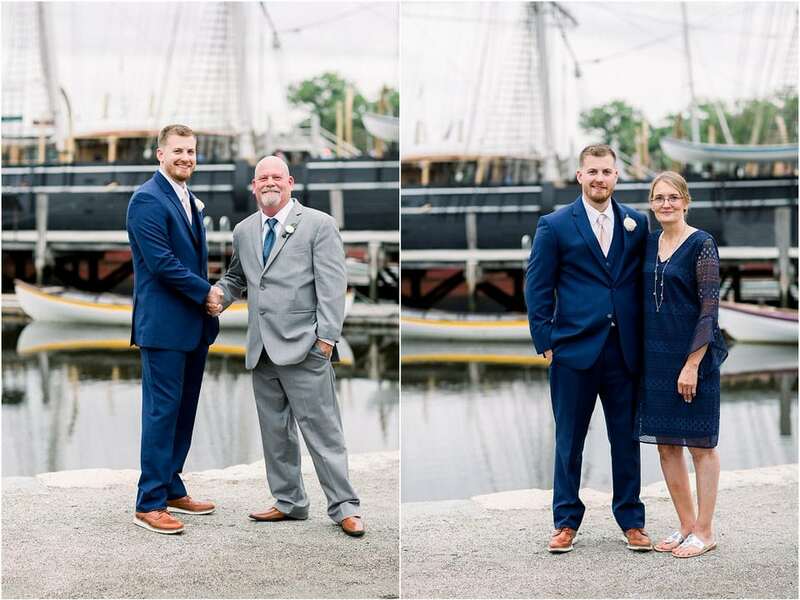 I started the wedding preparations with the ladies at Stephanie’s parents house in Downtown Mystic and my second shooter, Olivia, started with the fellas at another Mystic location. 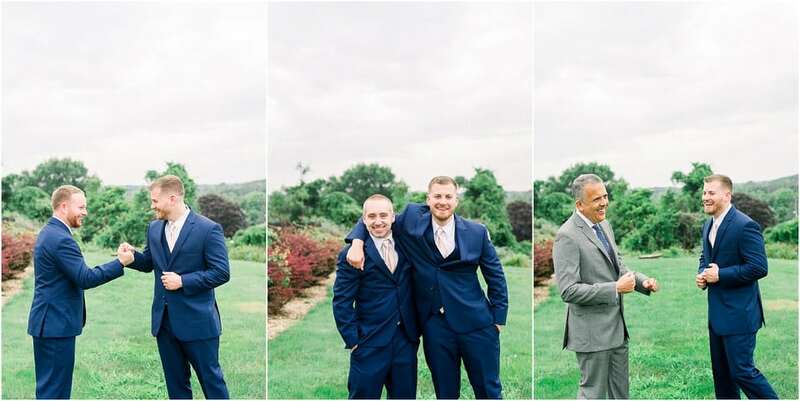 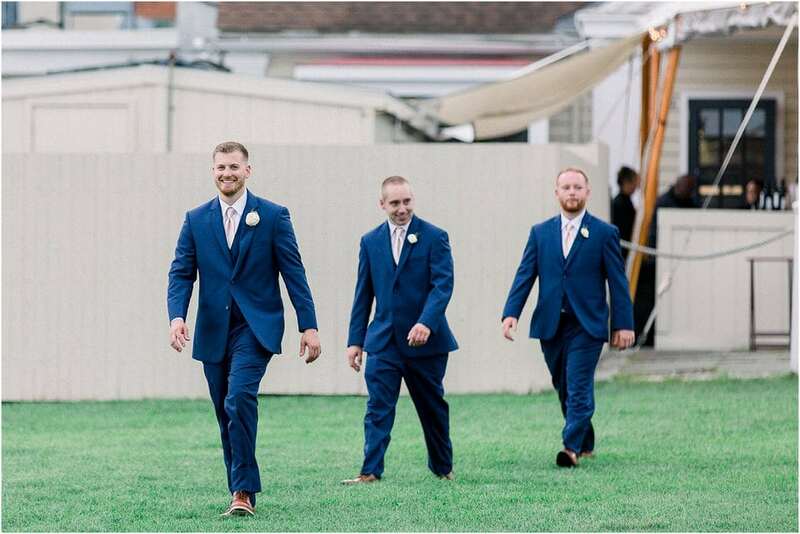 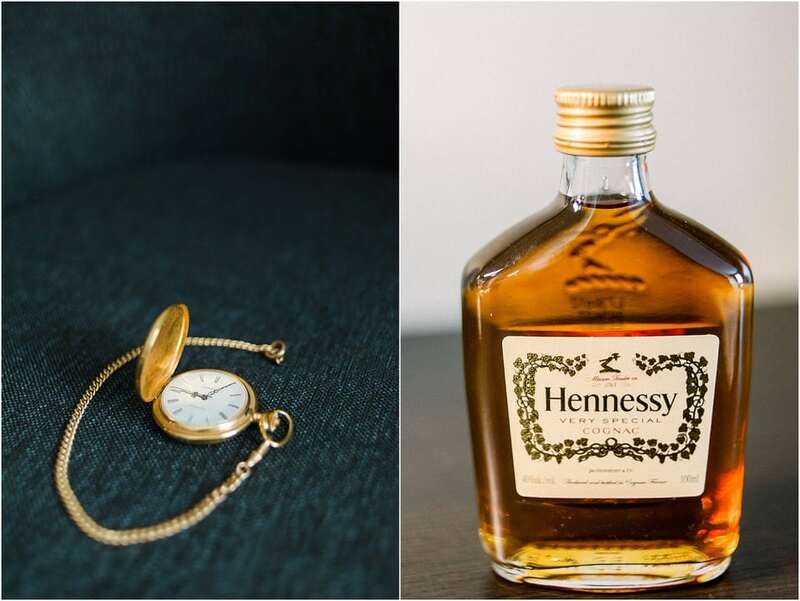 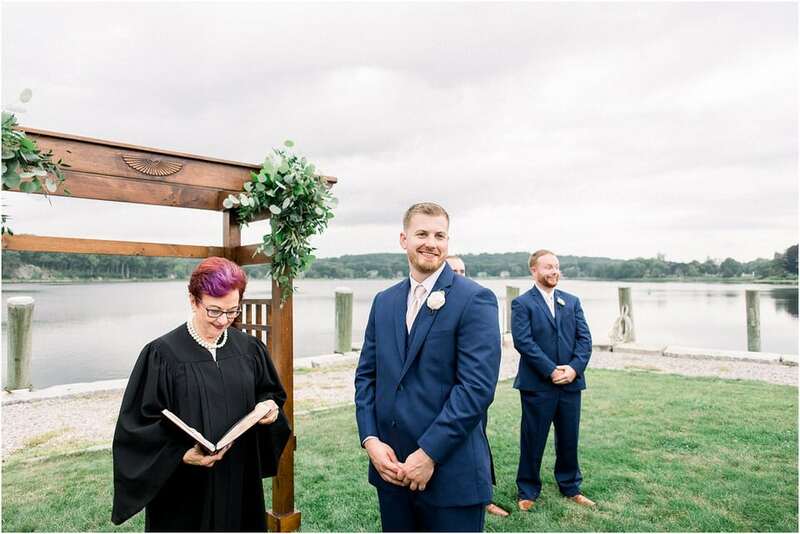 They had a small wedding party, two groomsmen and two bridesmaids, which made for a really intimate and special start to the day. 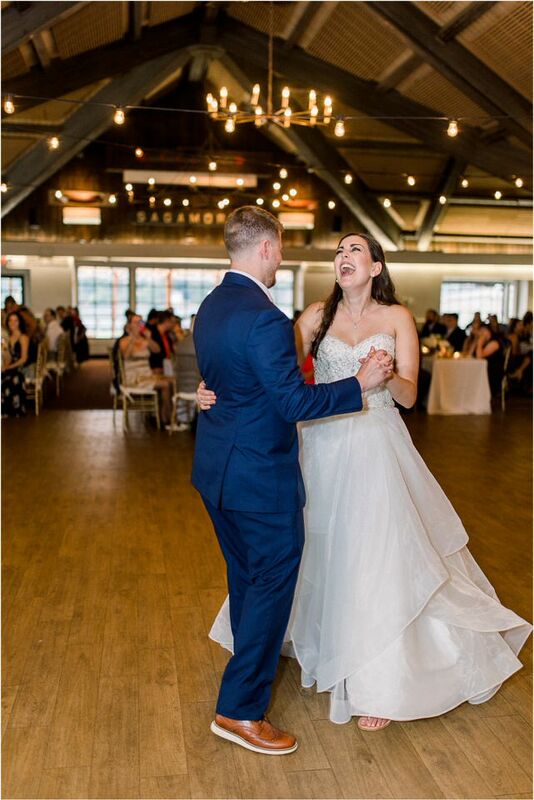 After everyone was ready, we headed to Latitude 41. 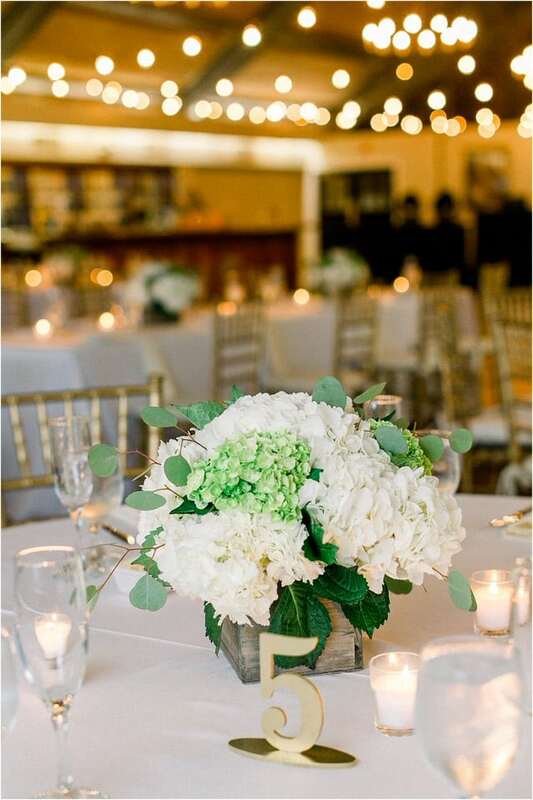 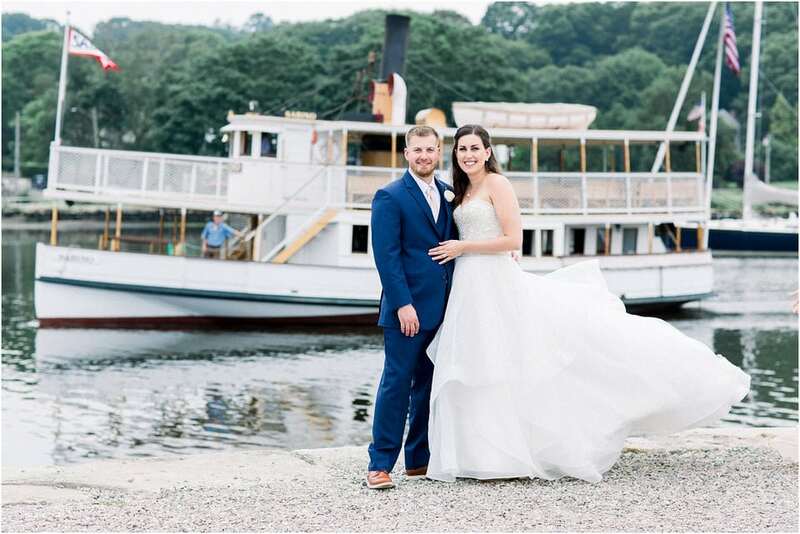 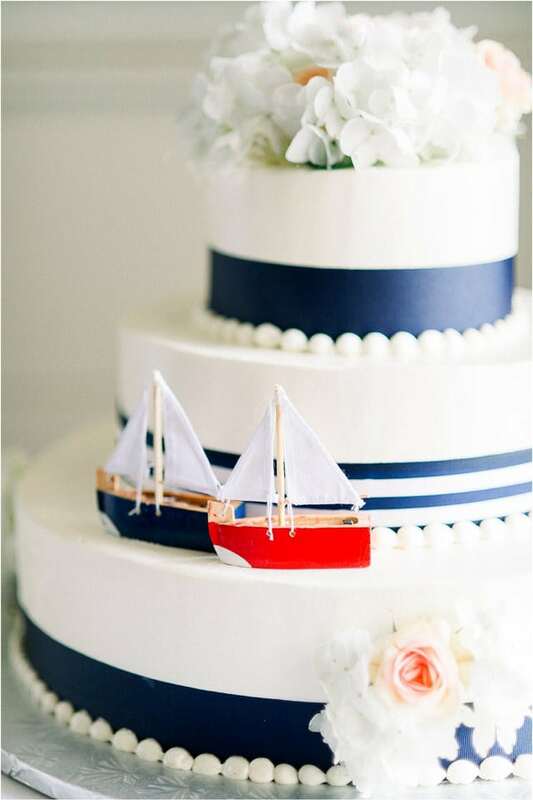 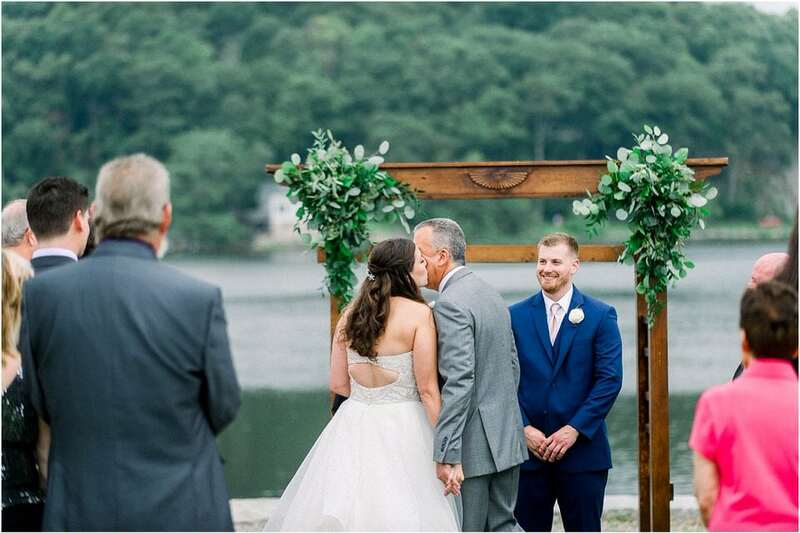 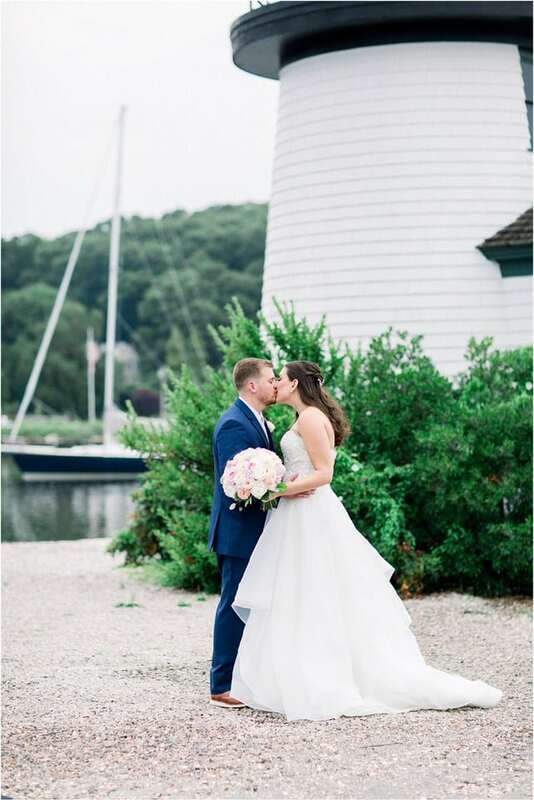 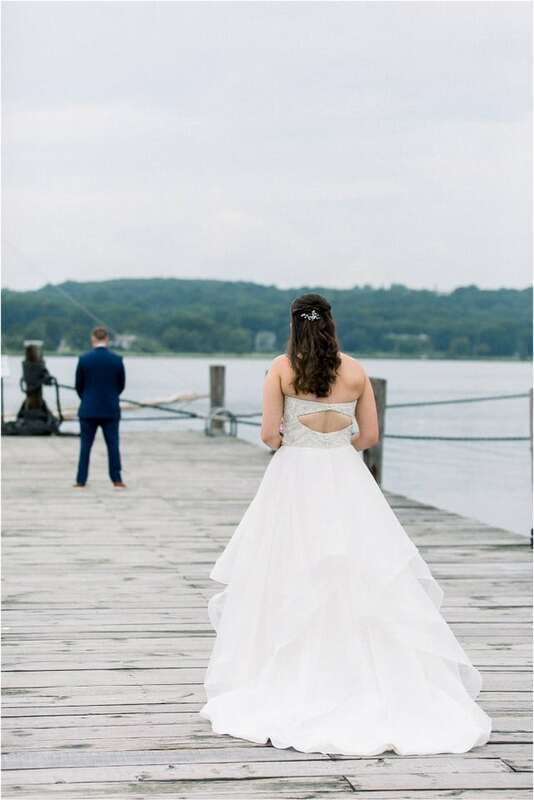 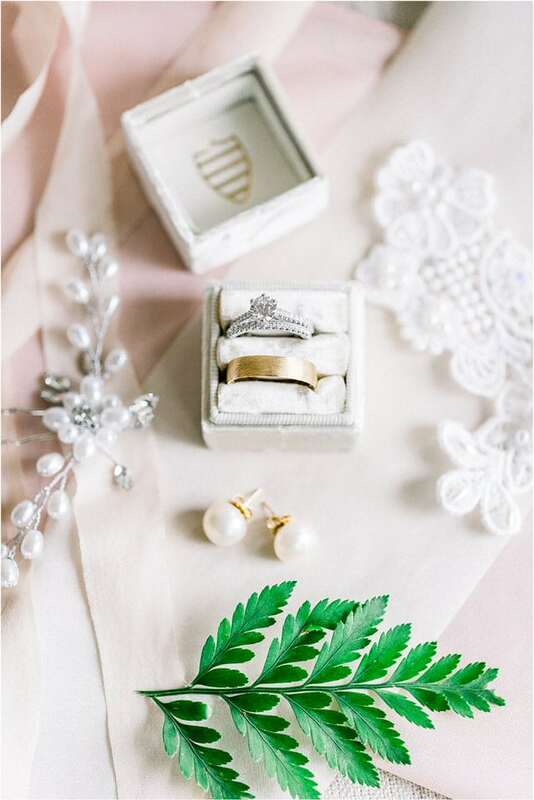 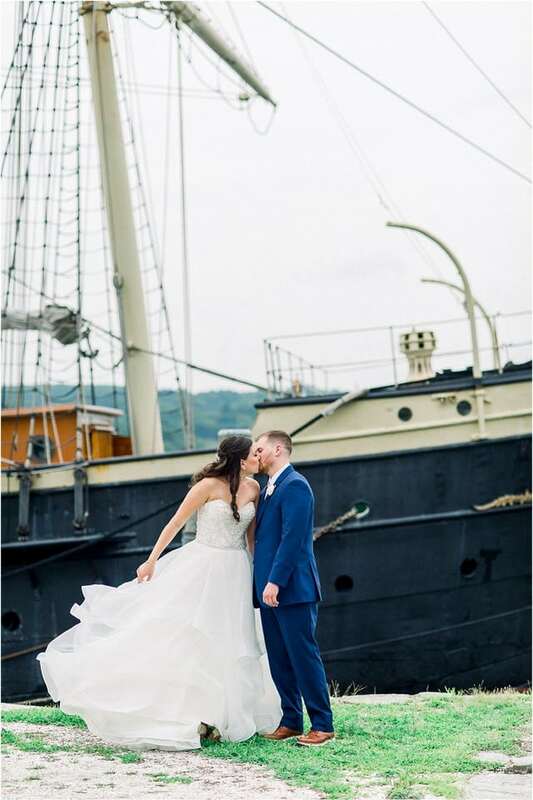 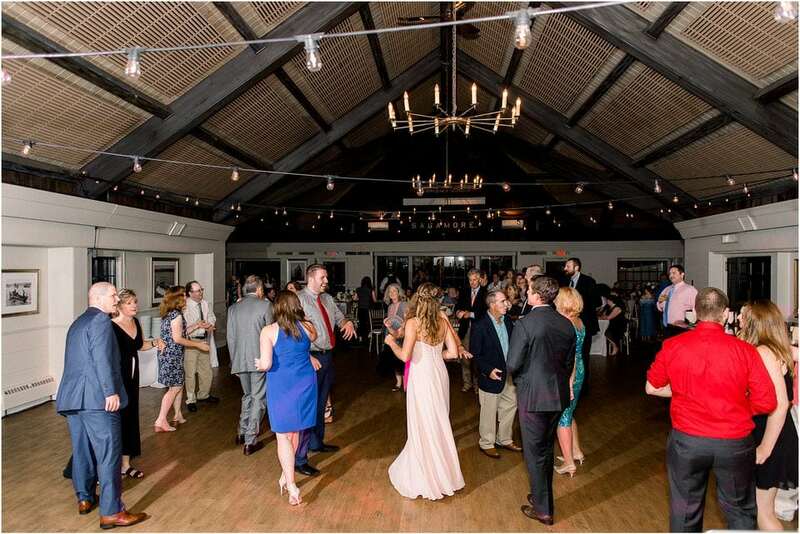 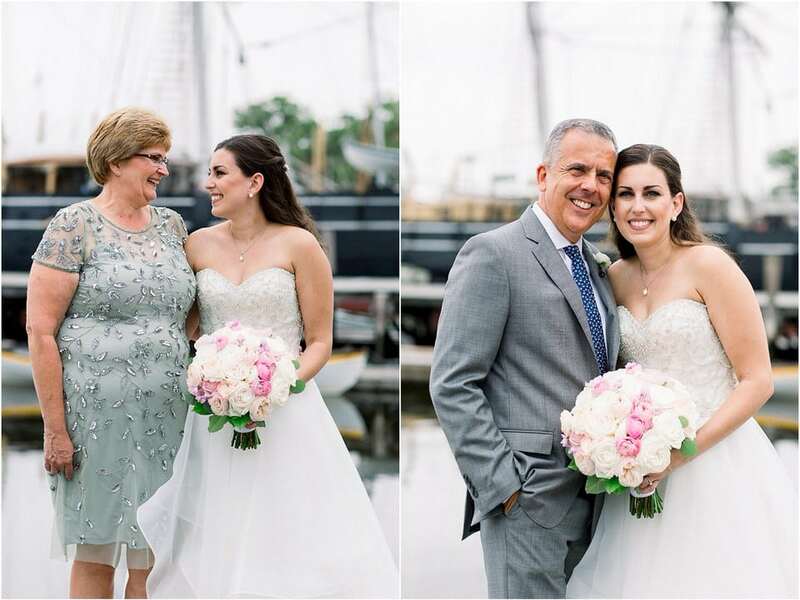 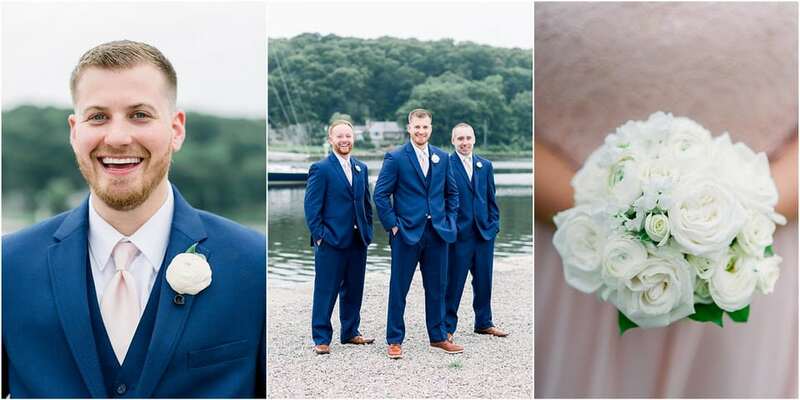 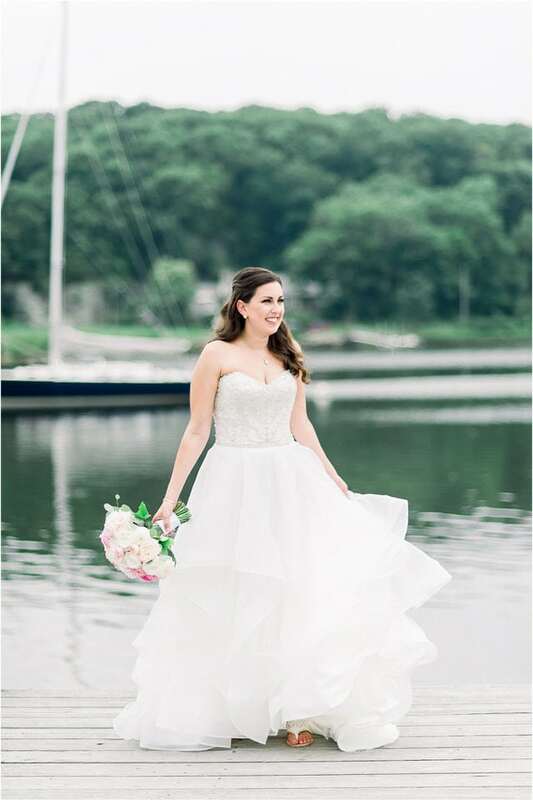 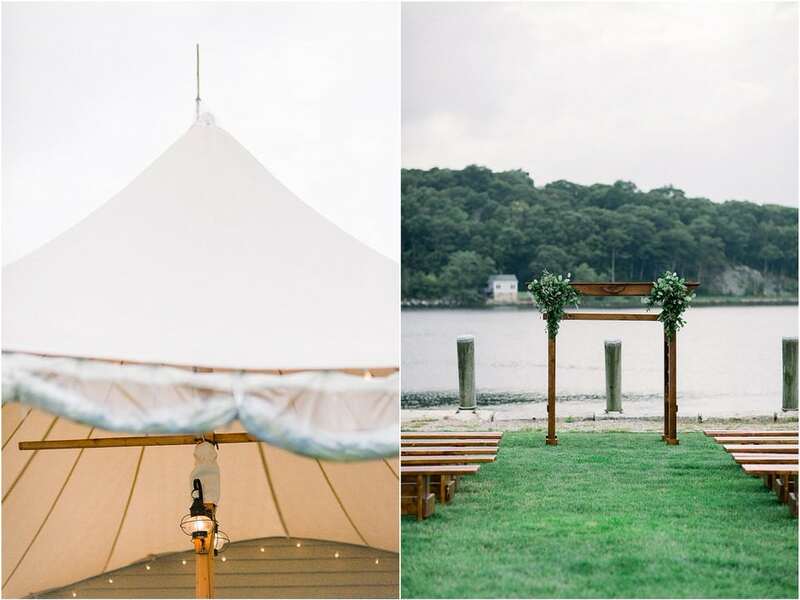 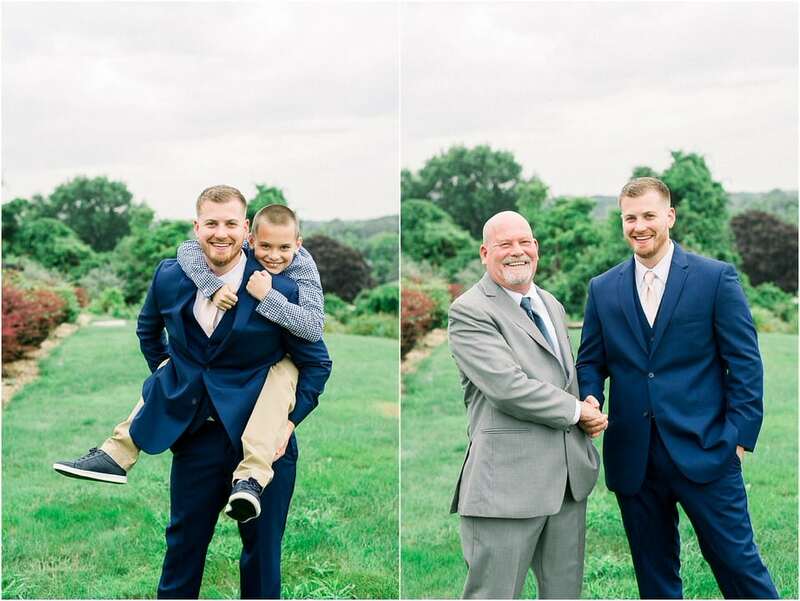 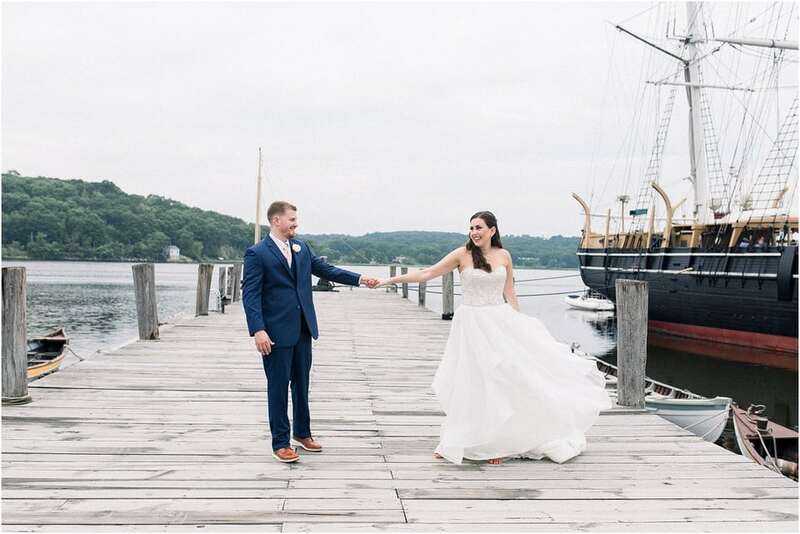 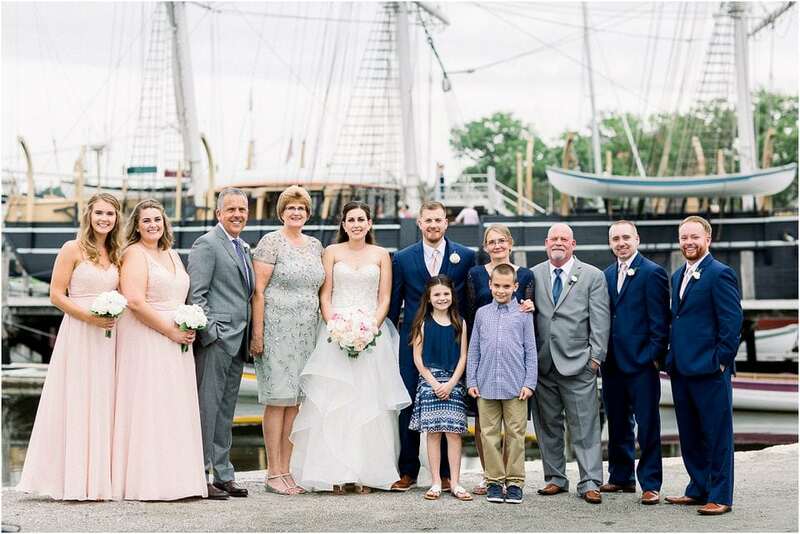 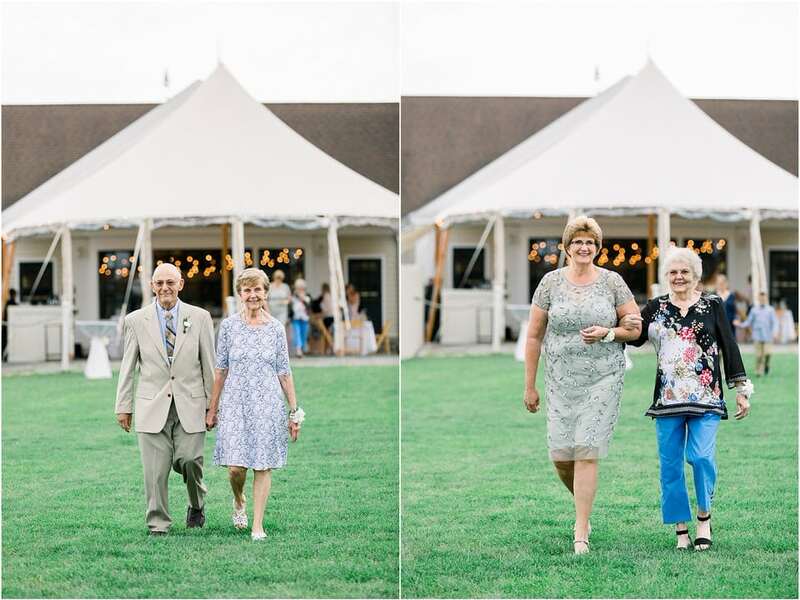 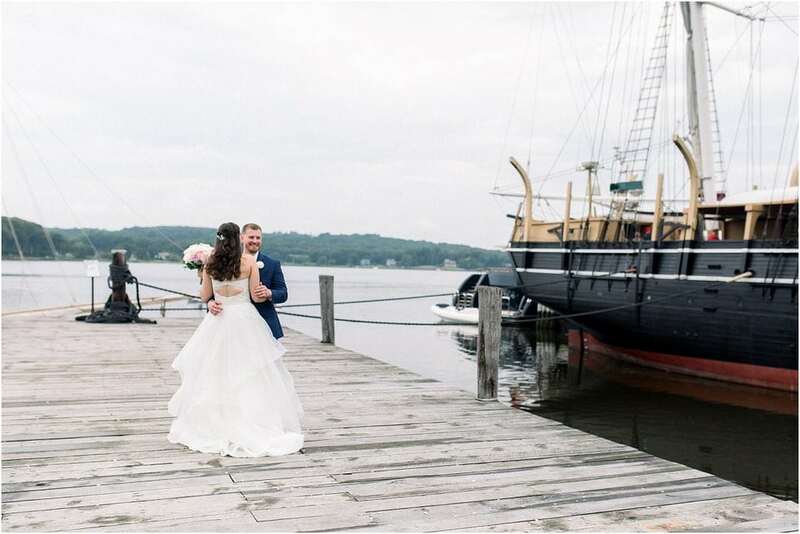 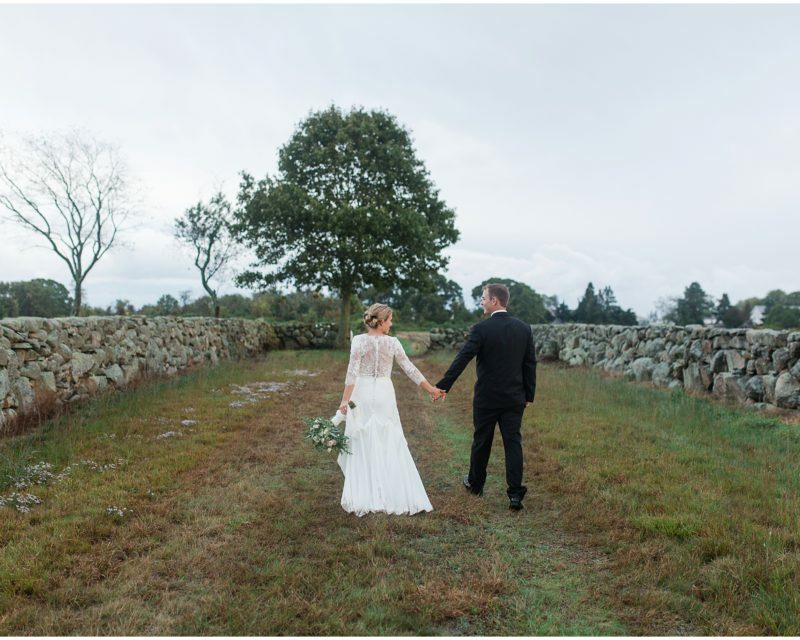 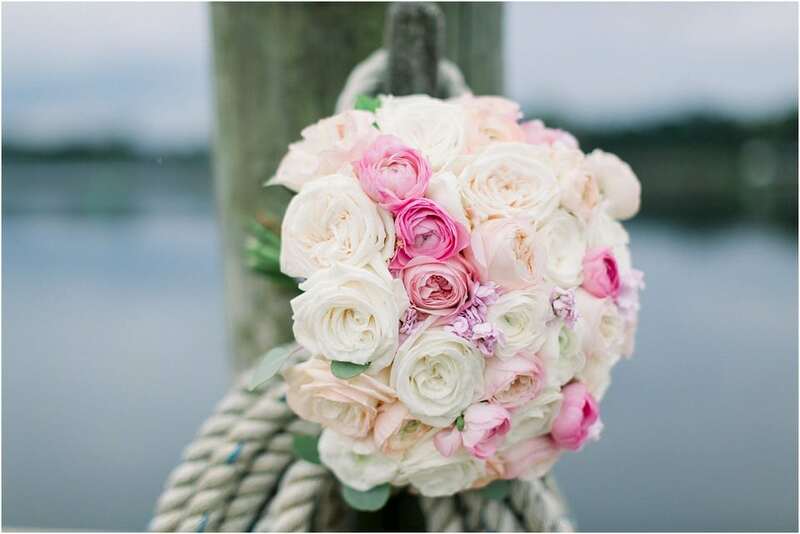 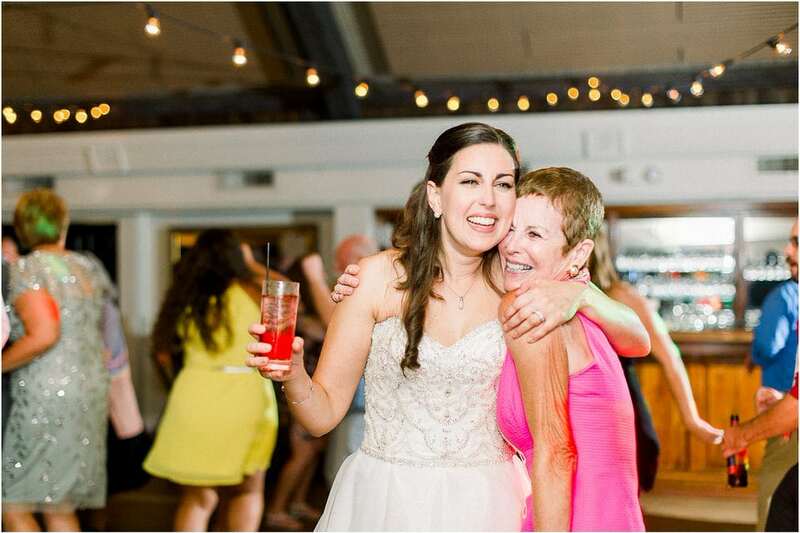 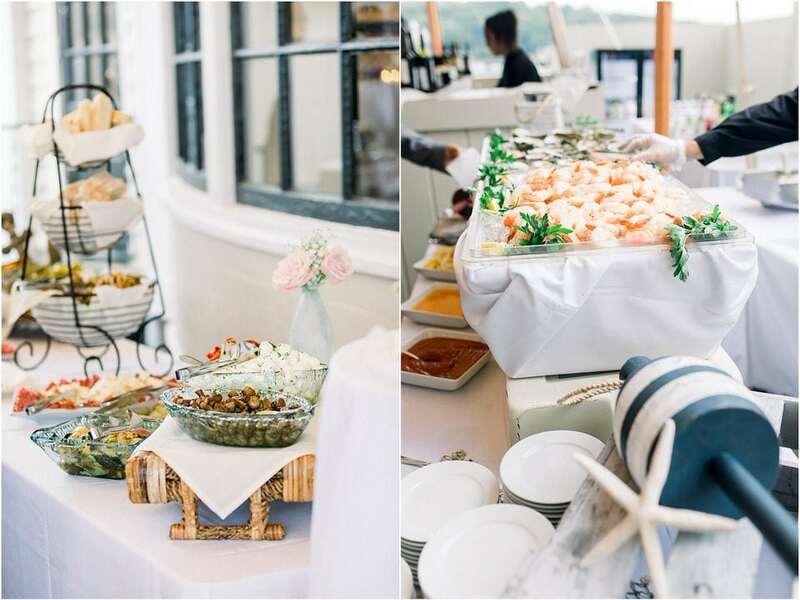 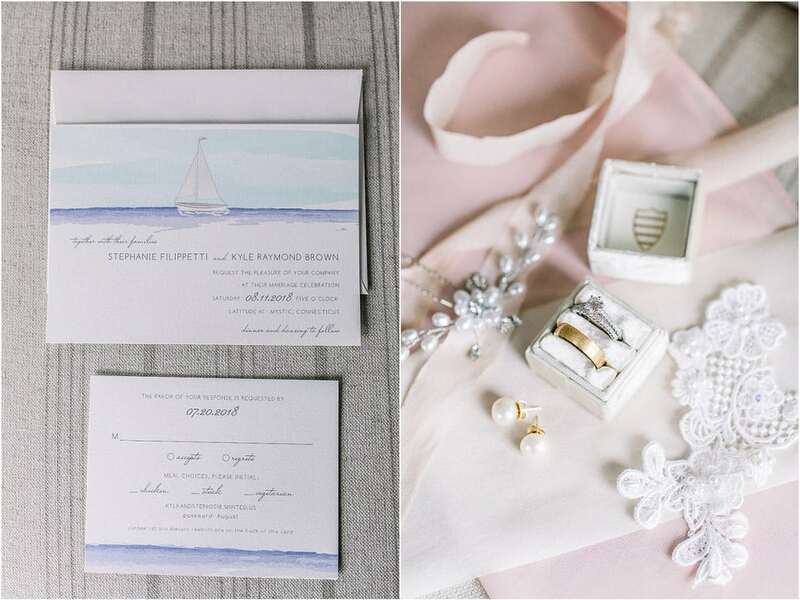 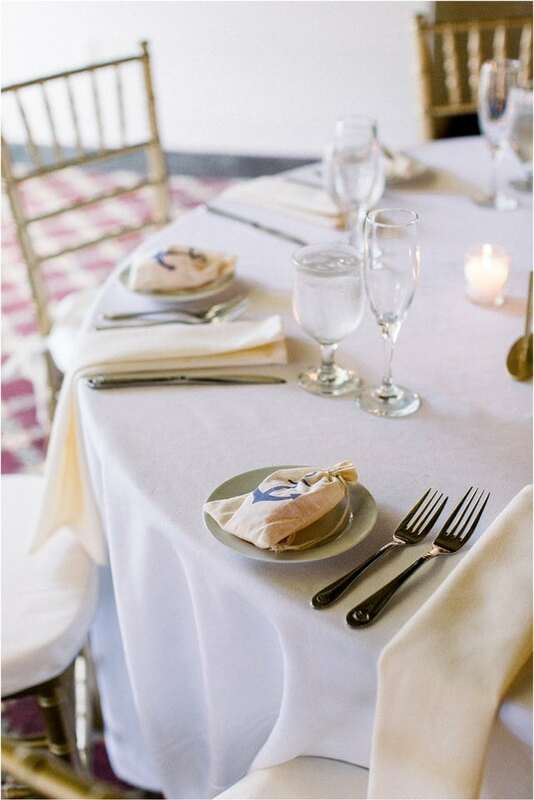 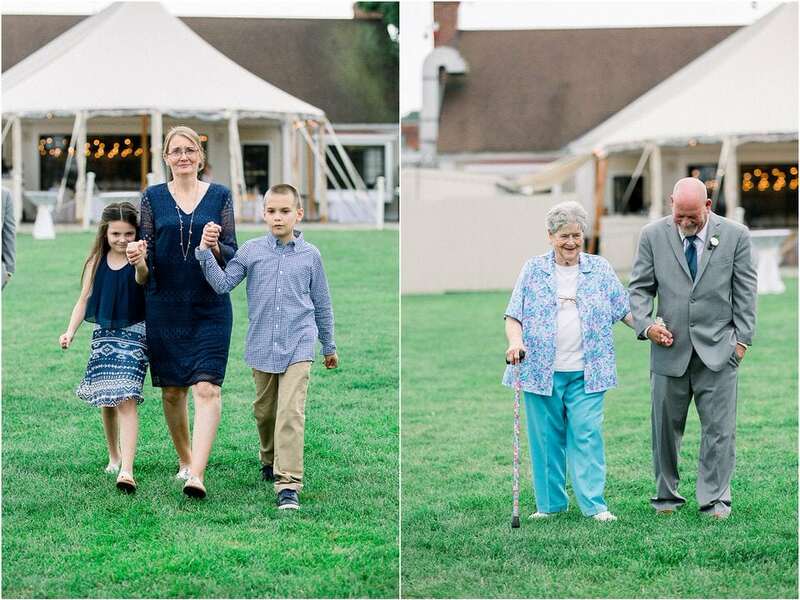 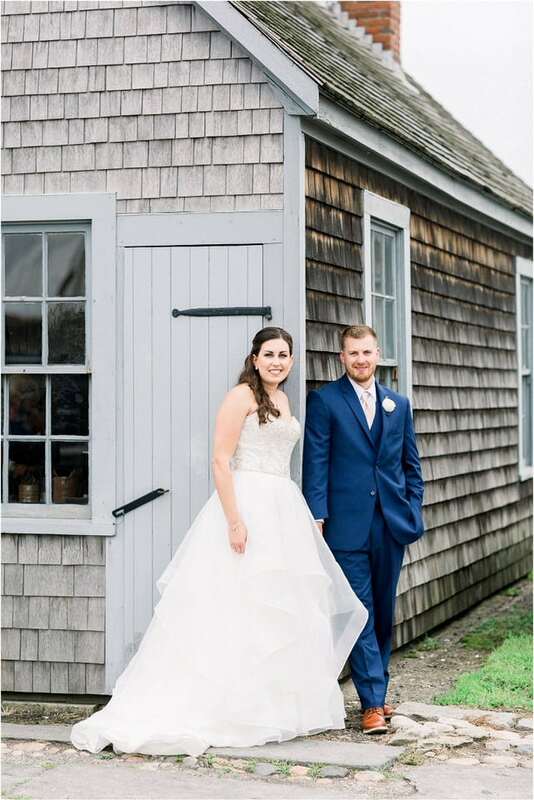 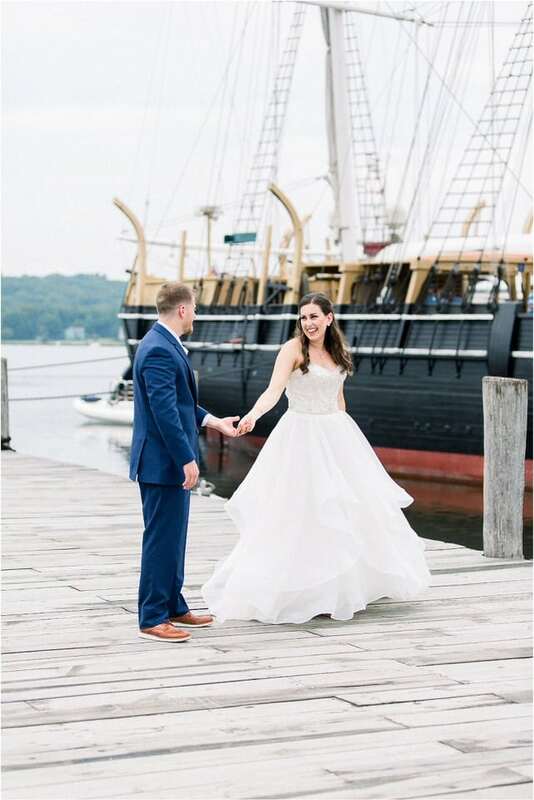 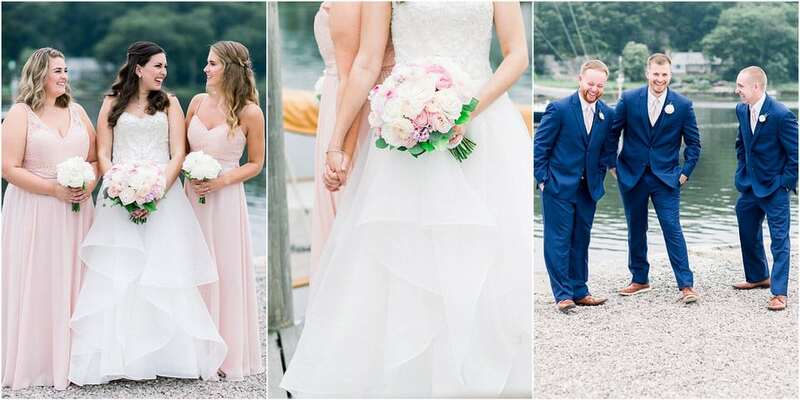 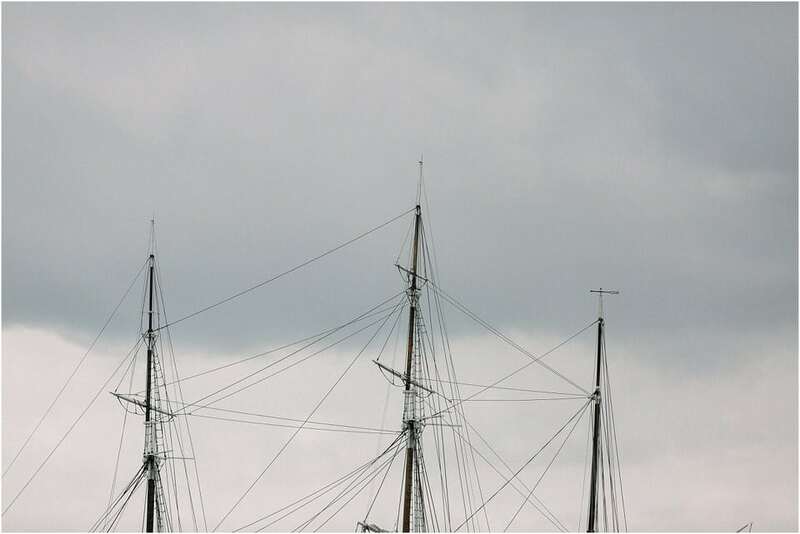 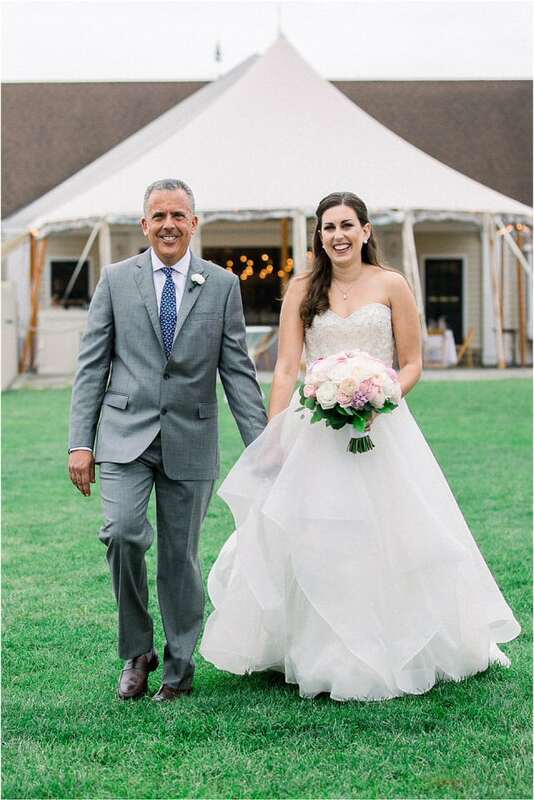 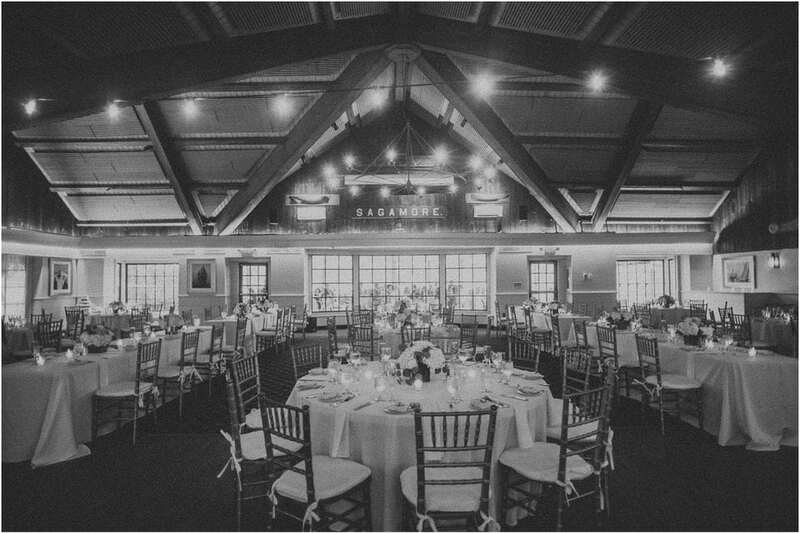 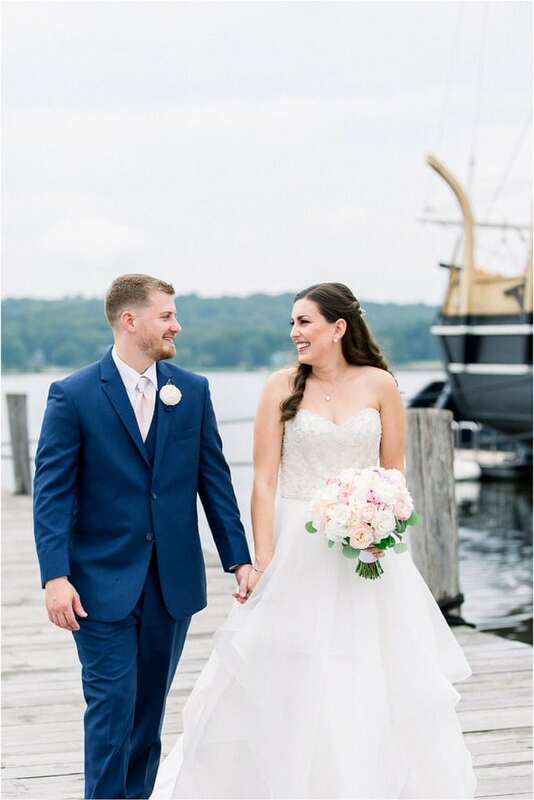 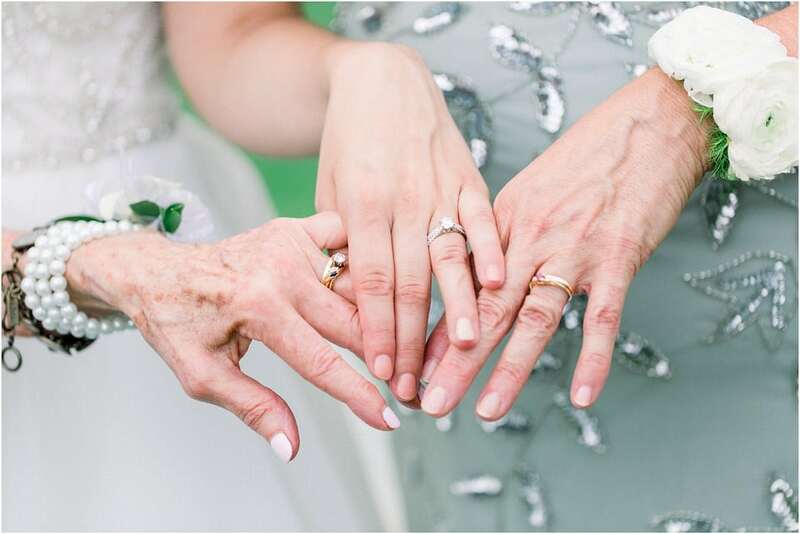 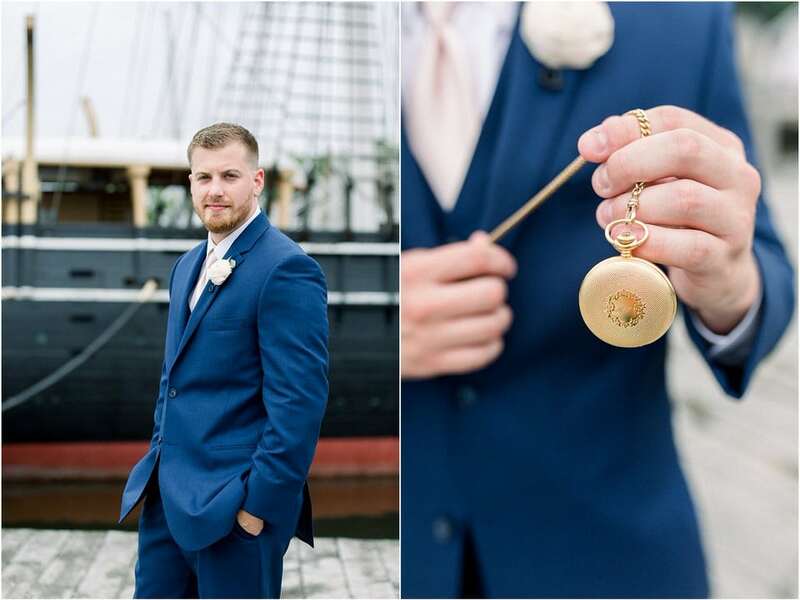 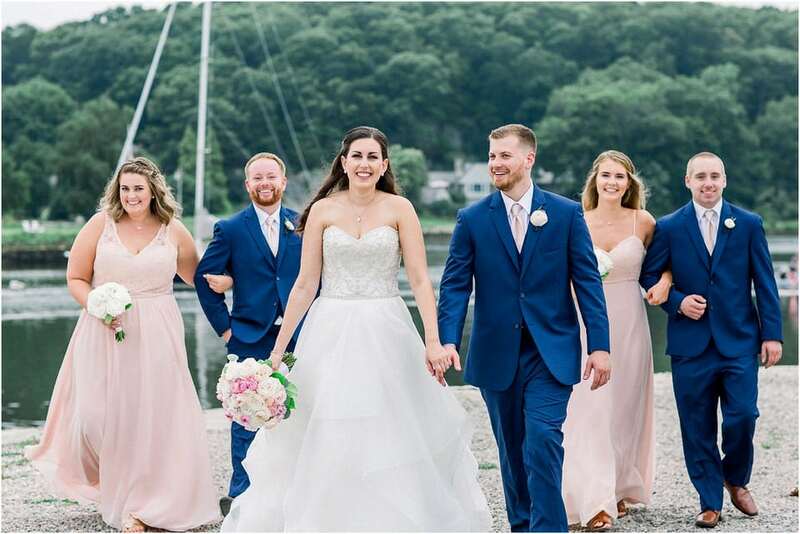 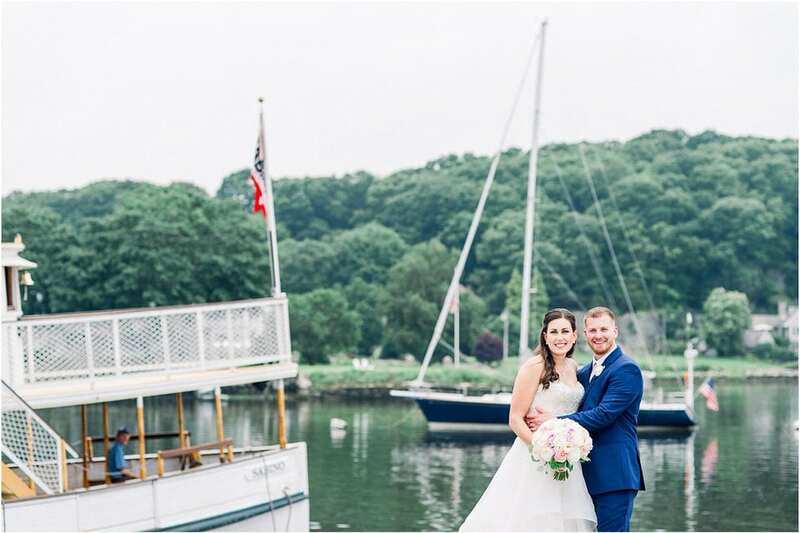 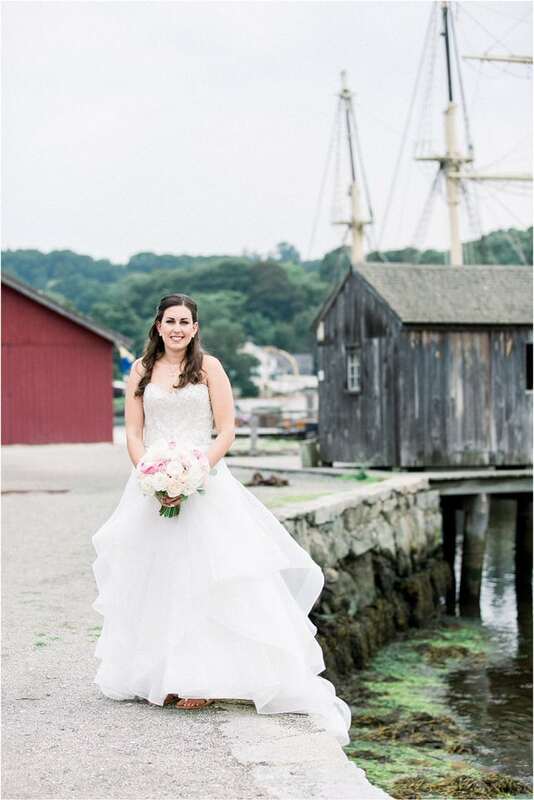 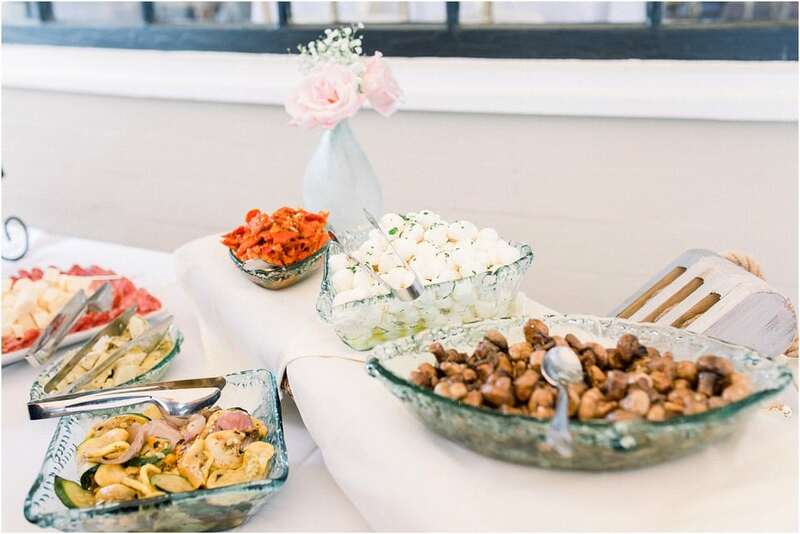 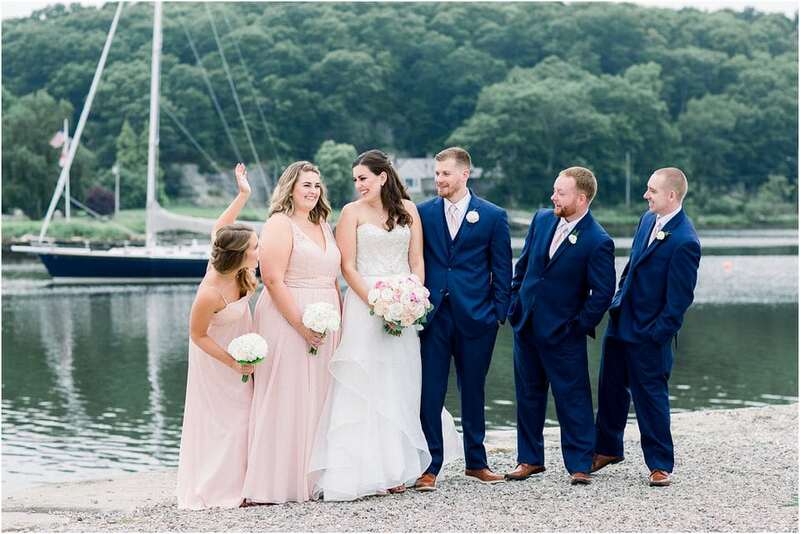 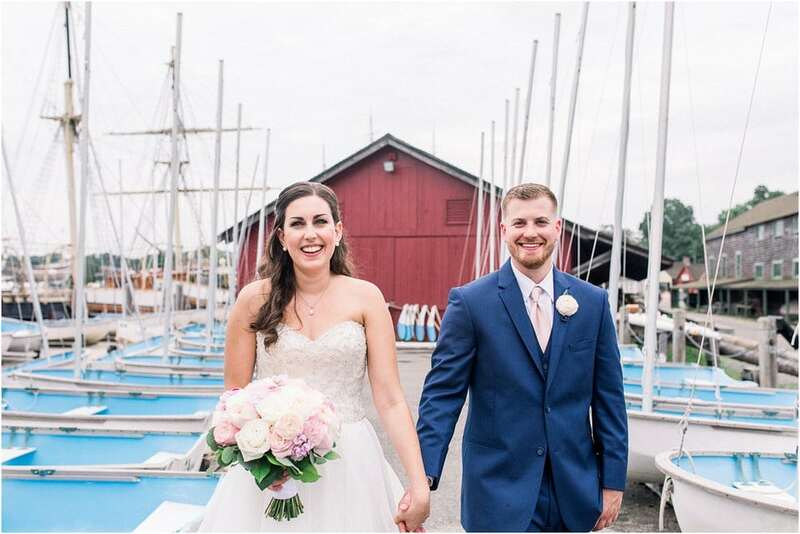 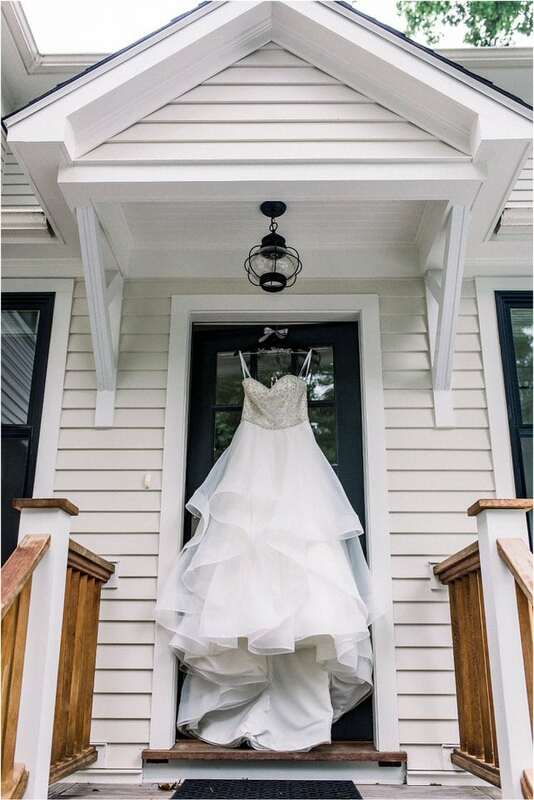 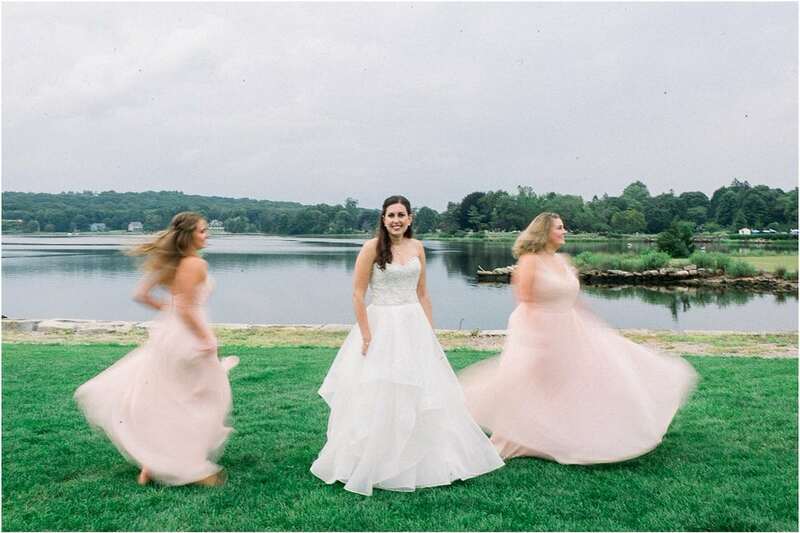 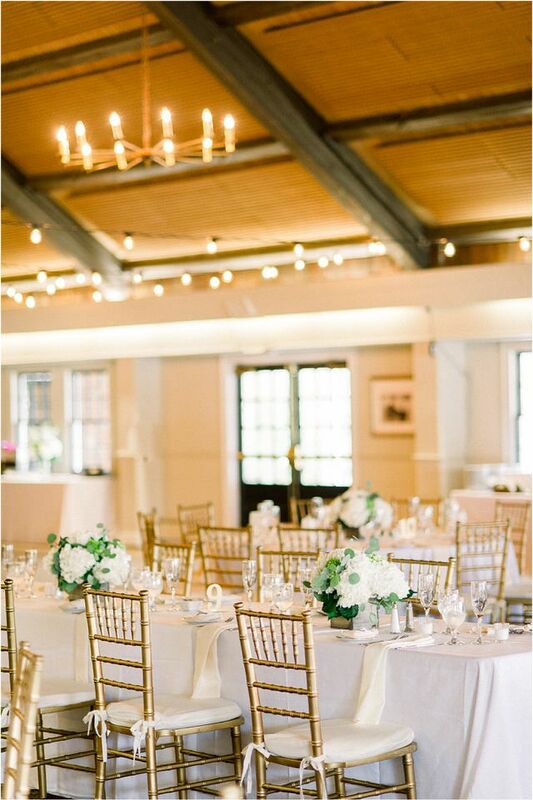 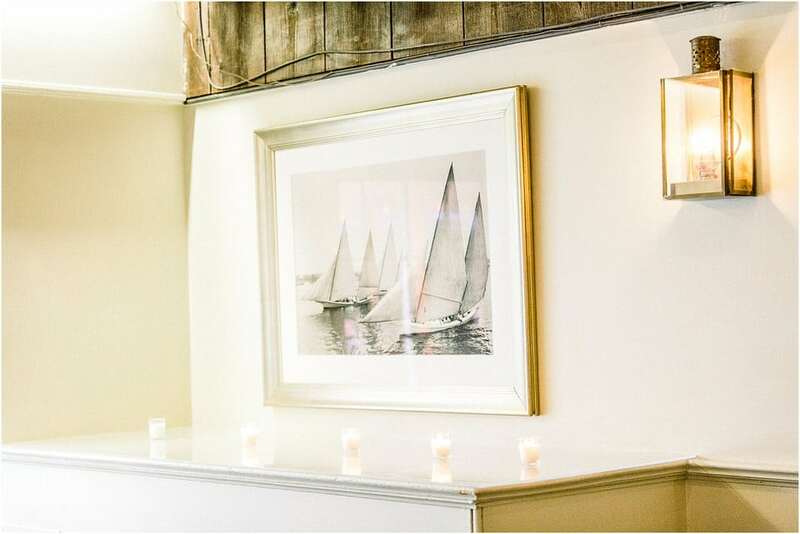 This Mystic Seaport Venue has everything including tall ships, beautiful water views and historic buildings creating a wonderful backdrop for a wedding. 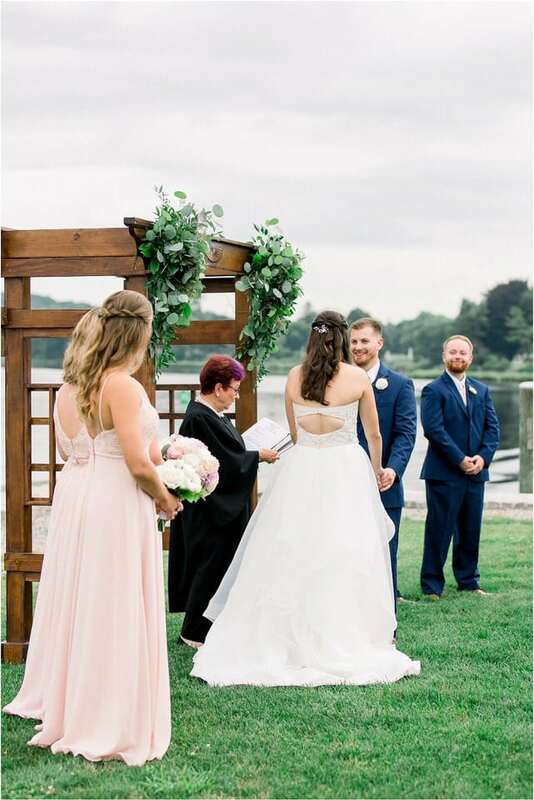 Stephanie’s parents also had their wedding there so that of course sealed the deal! 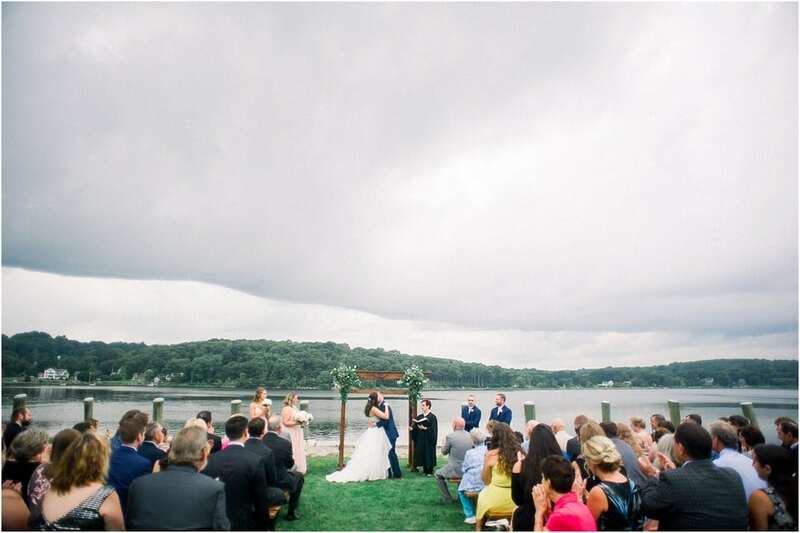 Once the ceremony began, huge dark storm clouds came rolling in. 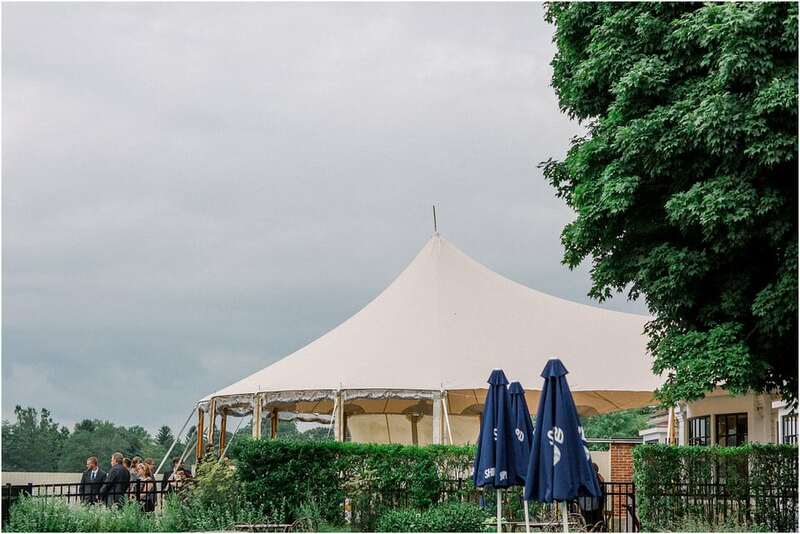 We were all wondering if there was going to be a point that we would all have to run to take shelter from the rain and hide under the tent. 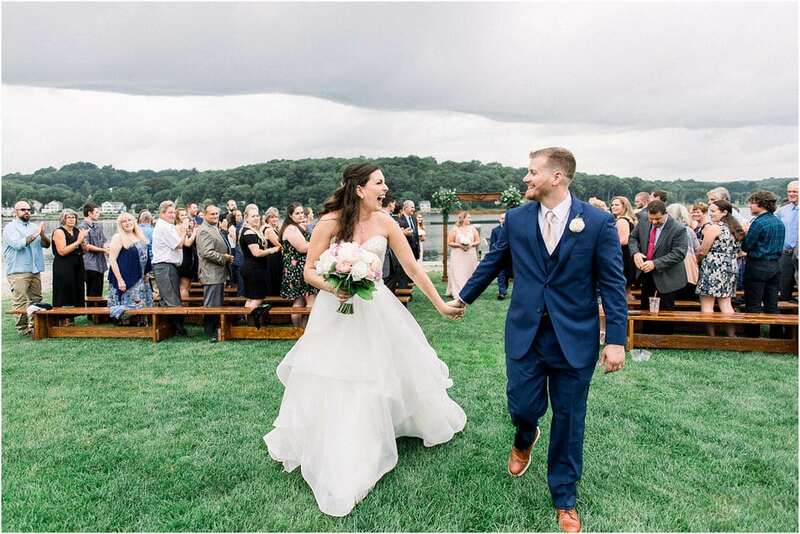 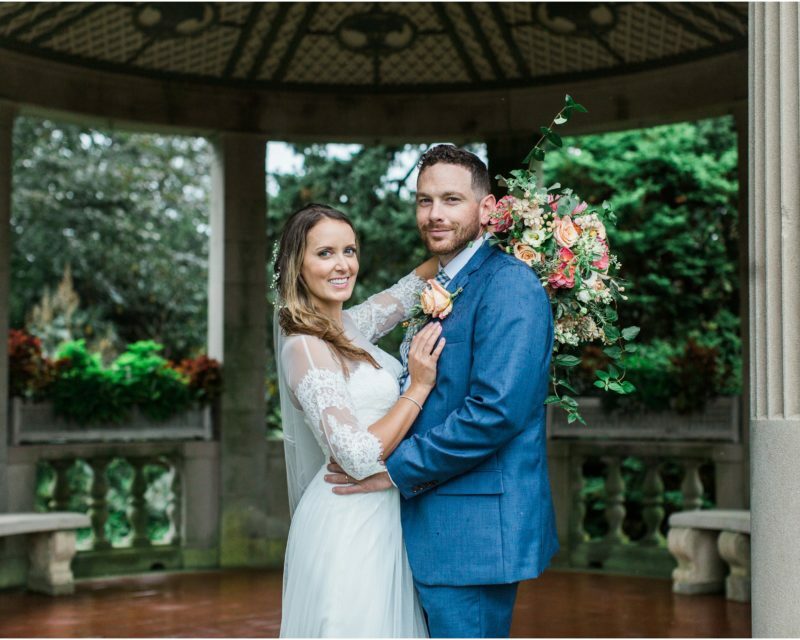 Luckily, the rain held off and the dark clouds made for the most epic backdrop for Stephanie and Kyle to tie the knot. 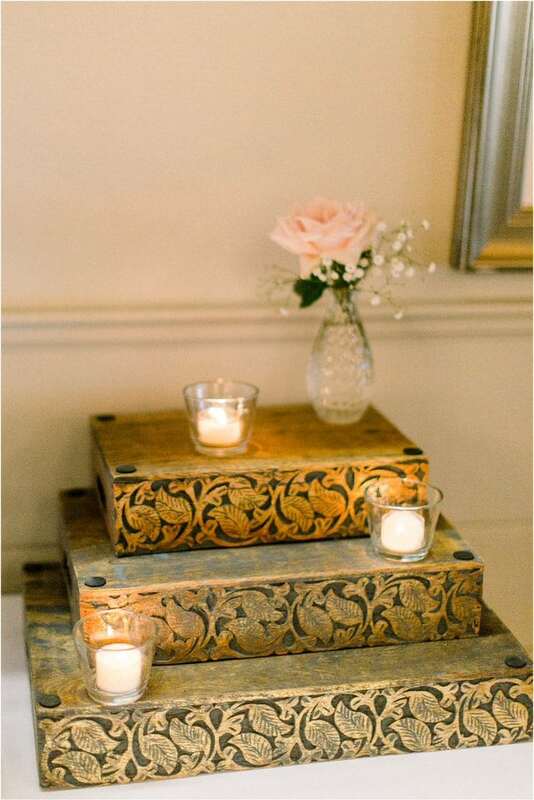 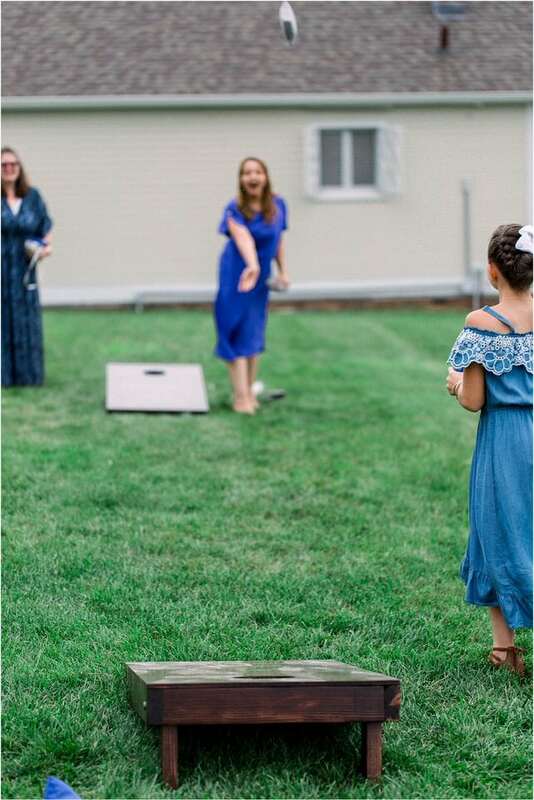 The reception began outside with a raw bar and lawn games including the corn hold boards that Kyle’s father made for the couple. 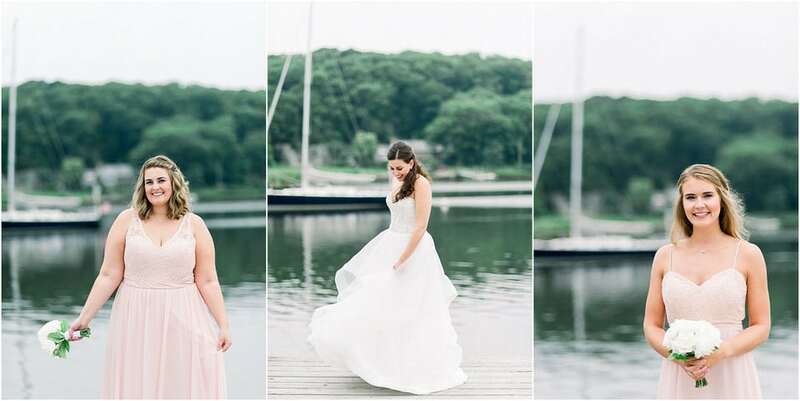 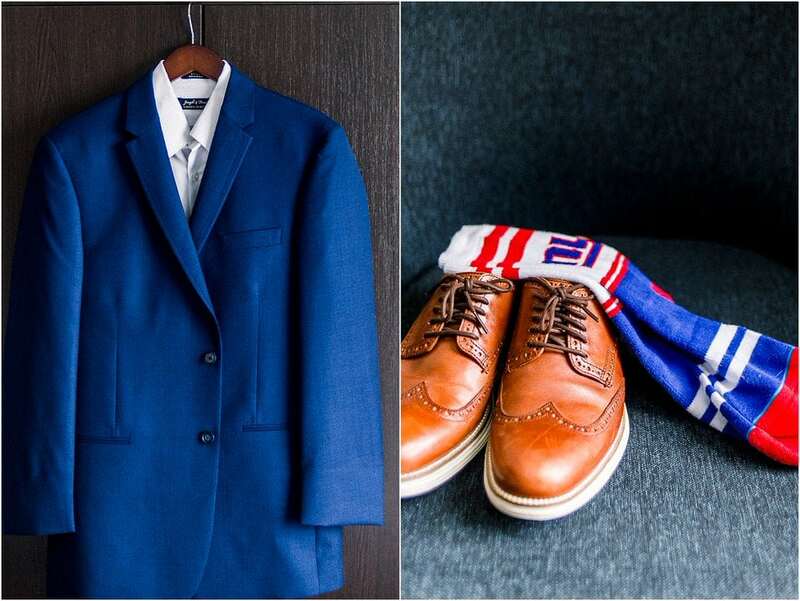 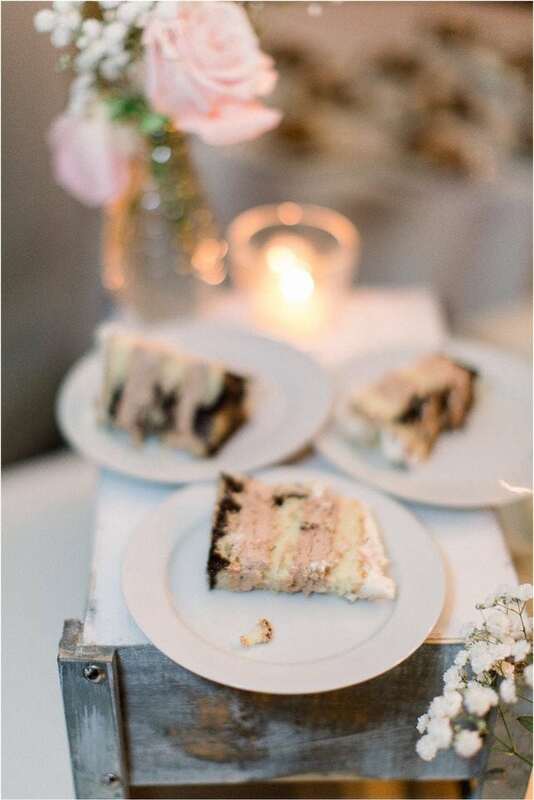 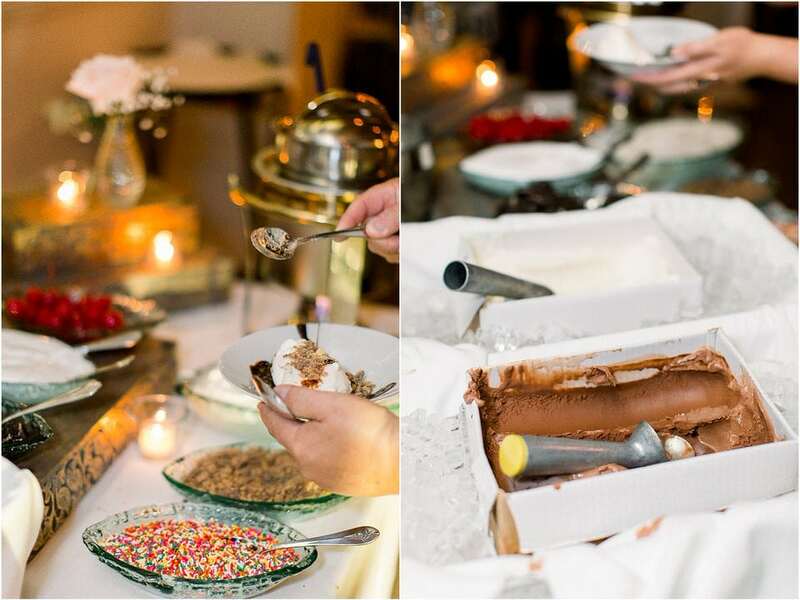 They planned their wedding to be fun, relaxed, and full of great food + drinks. 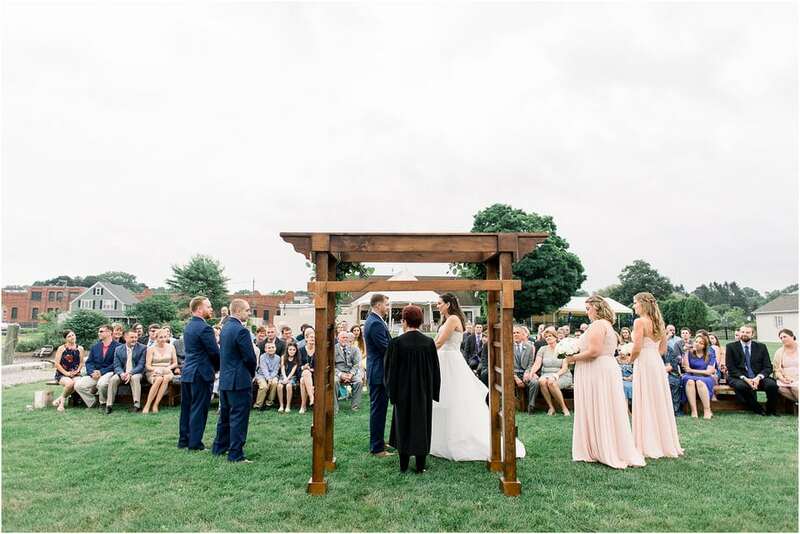 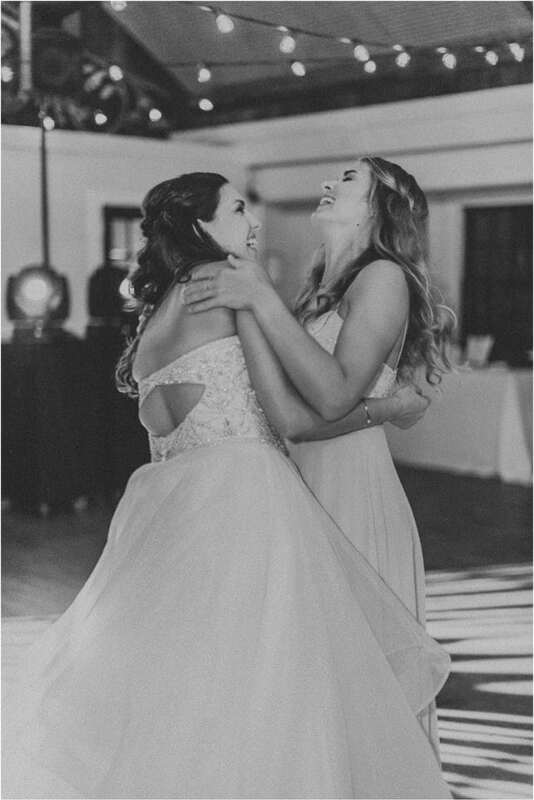 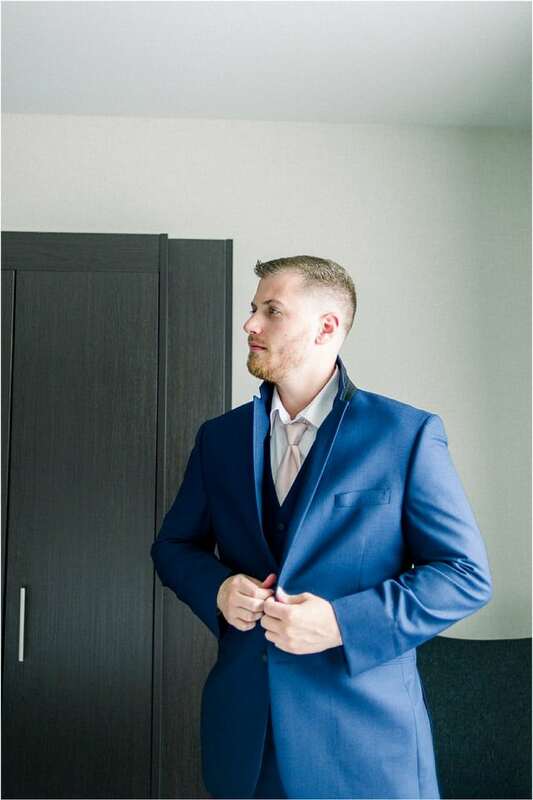 Their guests were very important to them and they cut out a lot of the traditional wedding formalities to enjoy more time with everyone. 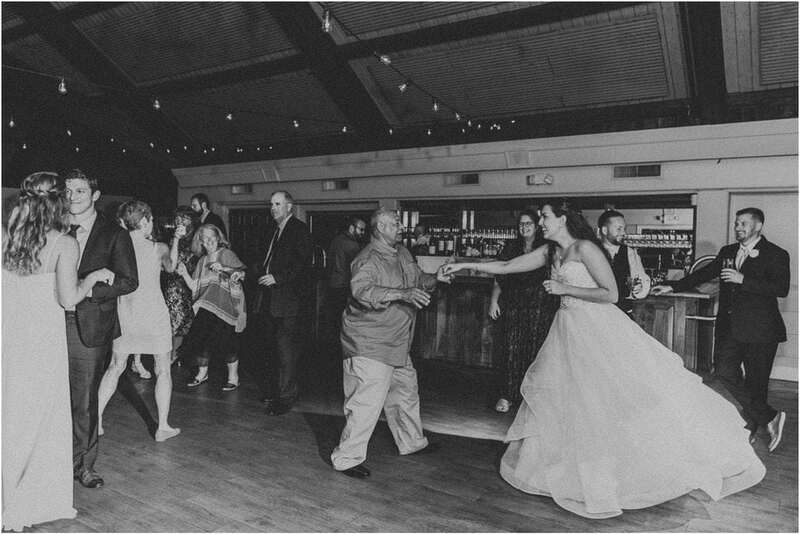 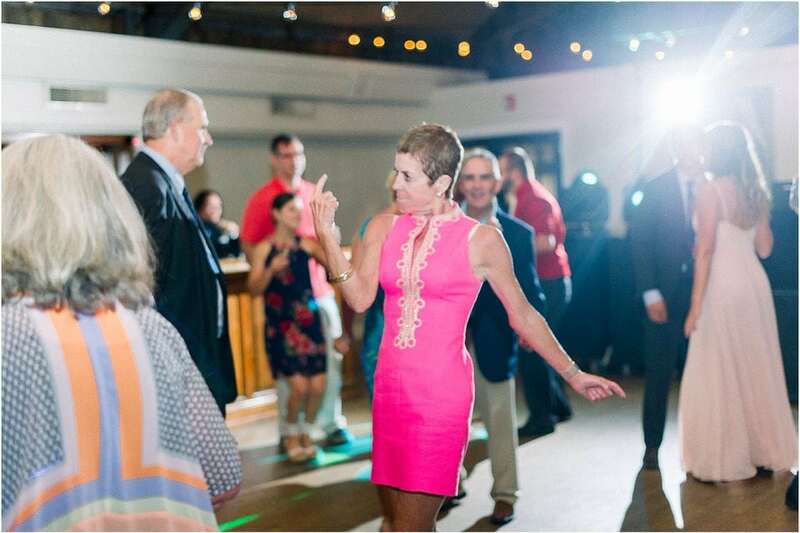 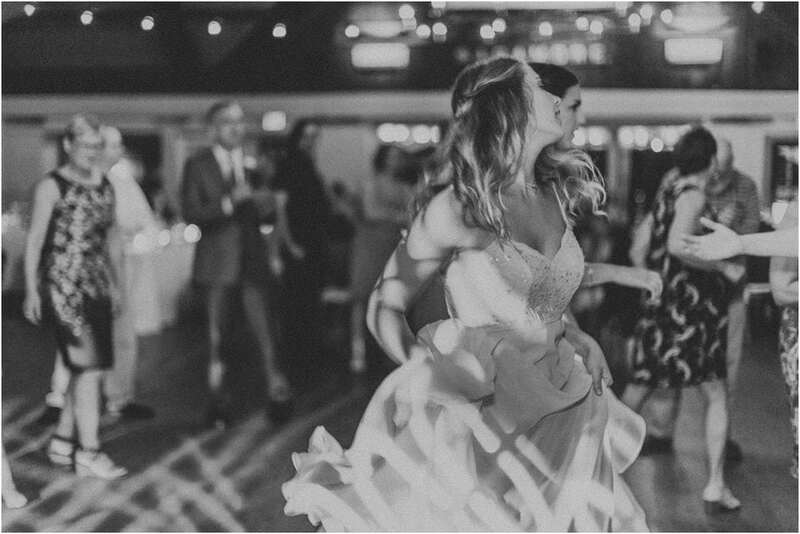 The night transitioned into a party in the River Room and the celebration was full of laughter, epic dance moves and all the love. 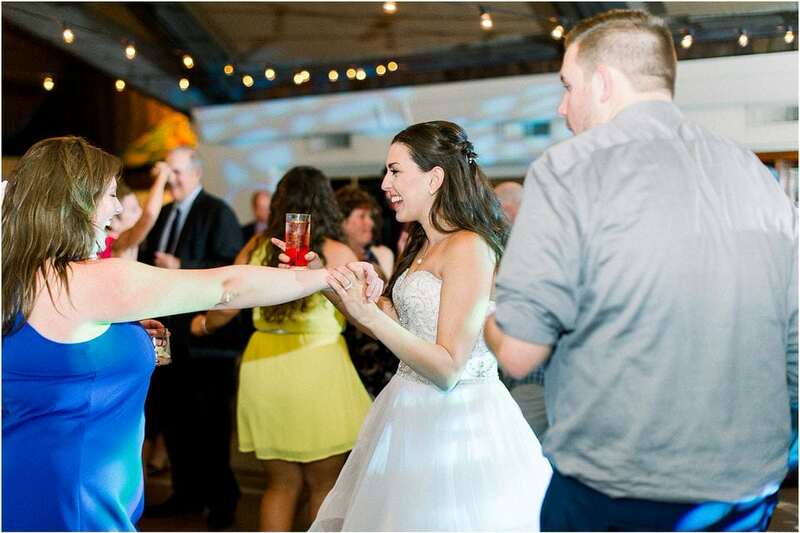 One of my favorite moments of the whole night was Stephanie and Kyles’s first dance. 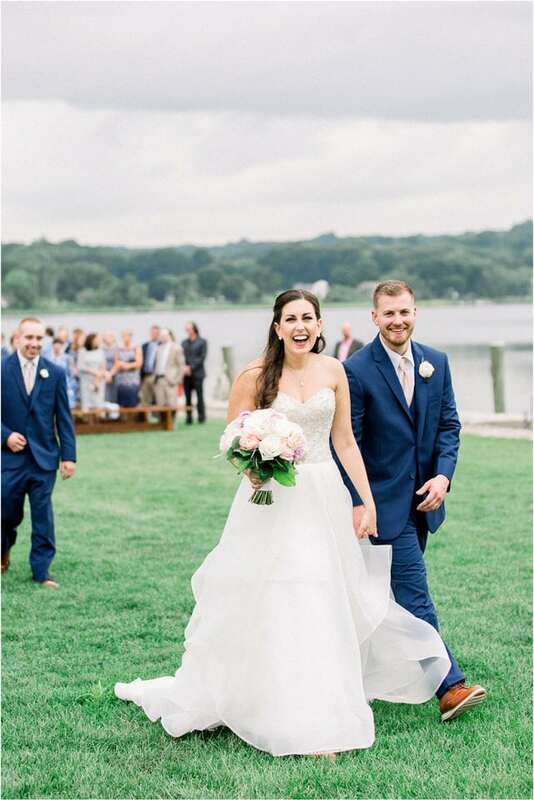 The way that Kyle made Stephanie burst out laughing and the huge smiles on their faces truly showed how in love they are. 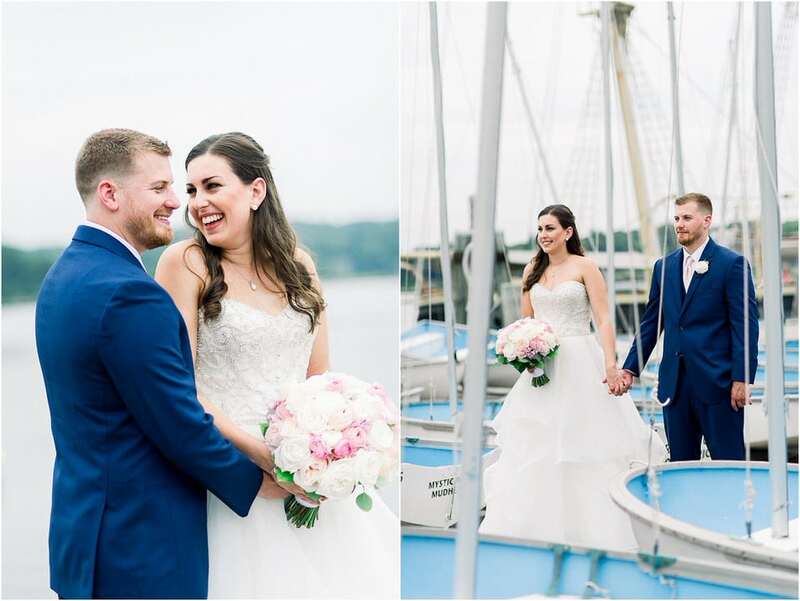 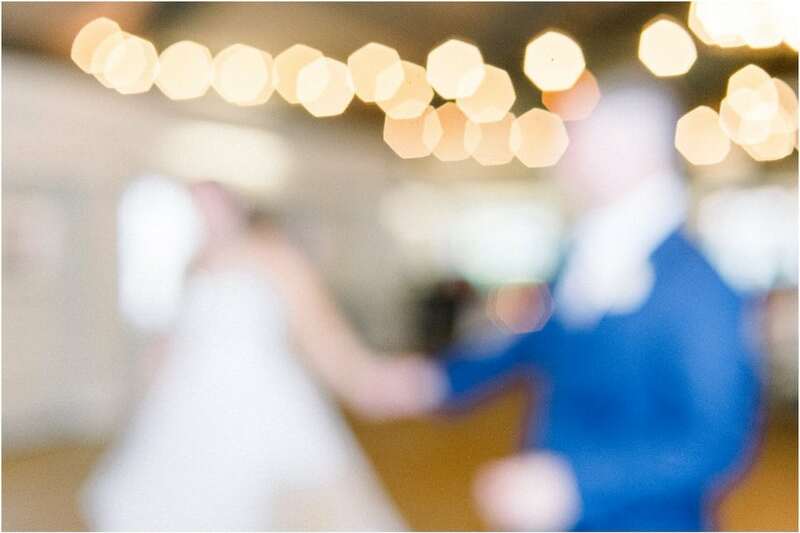 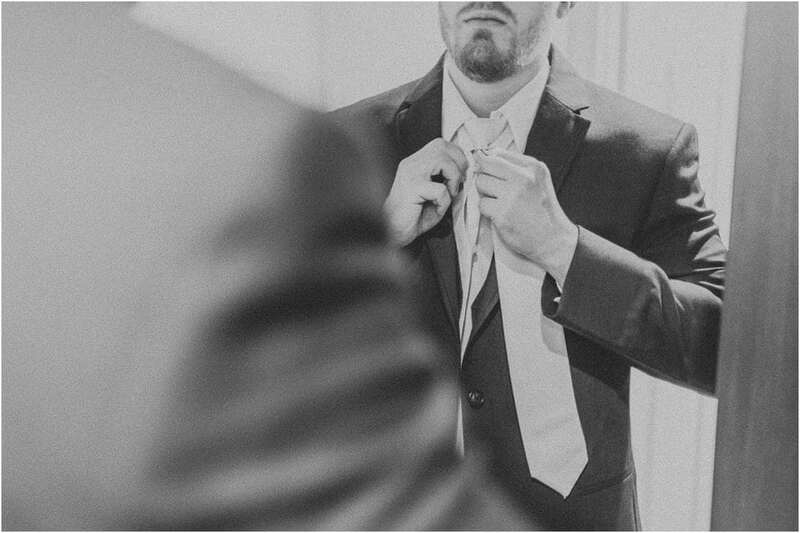 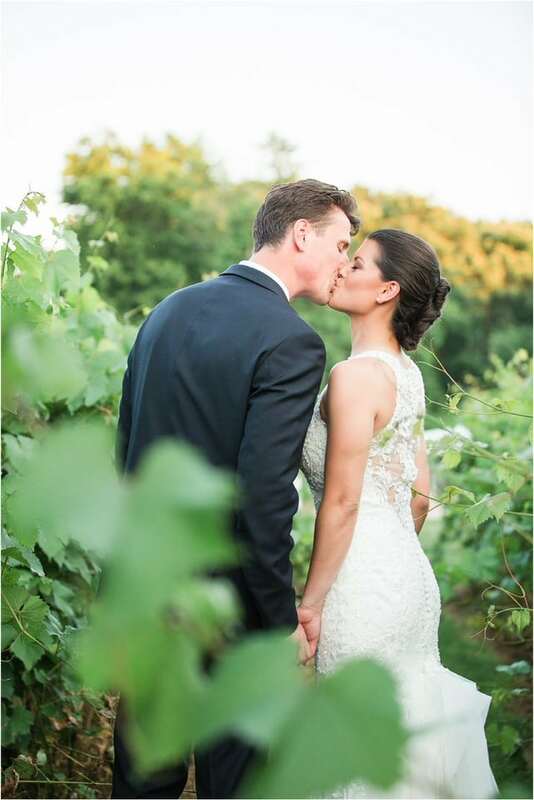 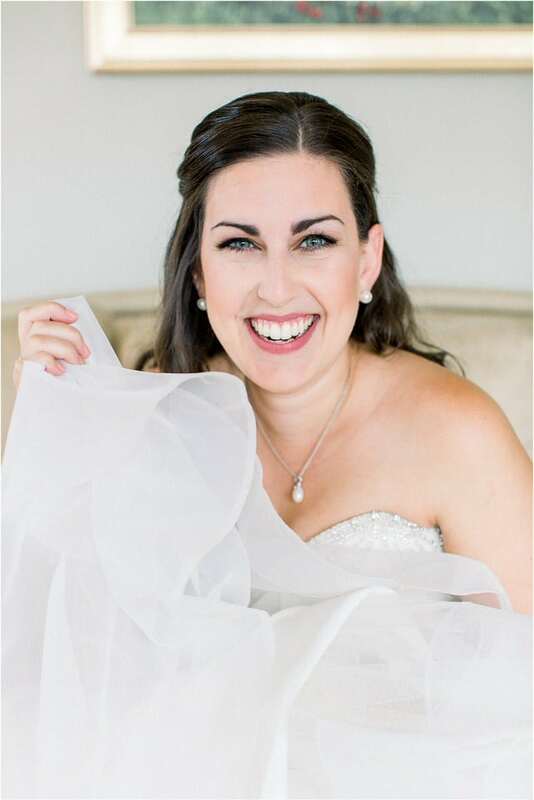 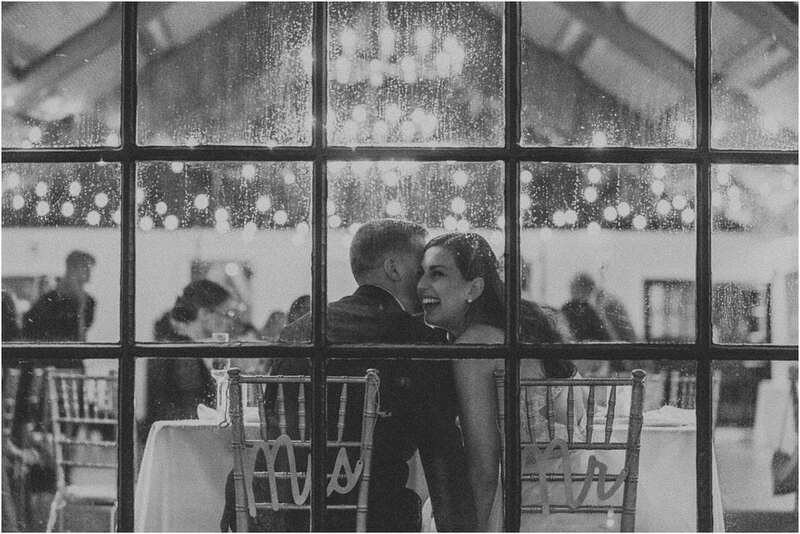 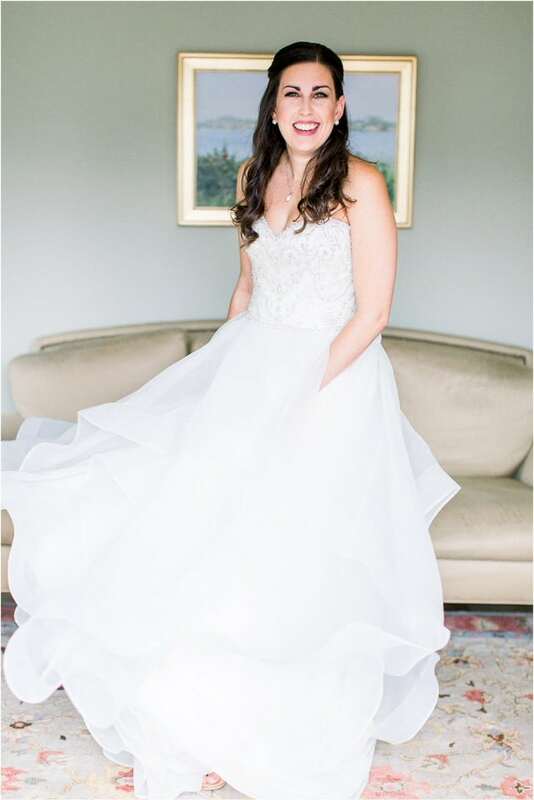 Stephanie and Kyle, your wedding day was a true reflection of the type of people you are. 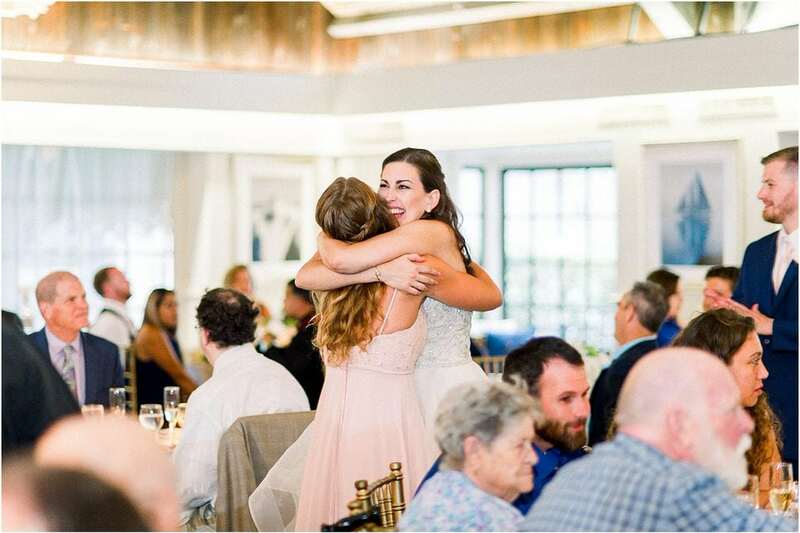 You are some of the most genuine, down to earth, and caring people I know and I am so glad to call you friends.